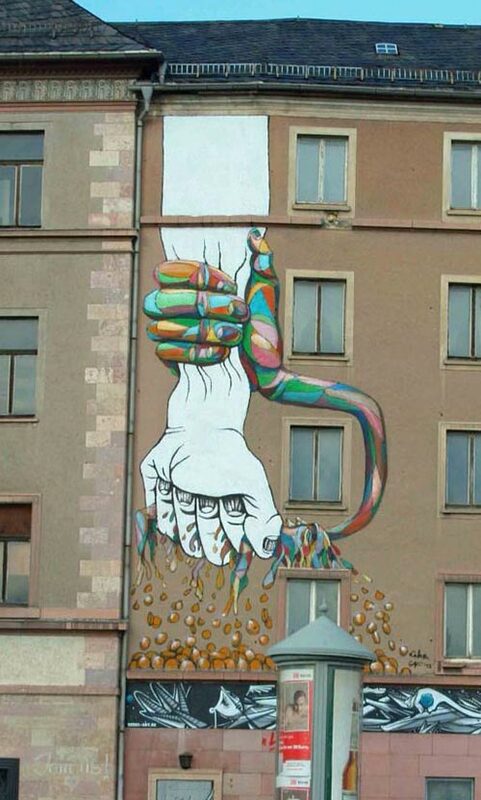 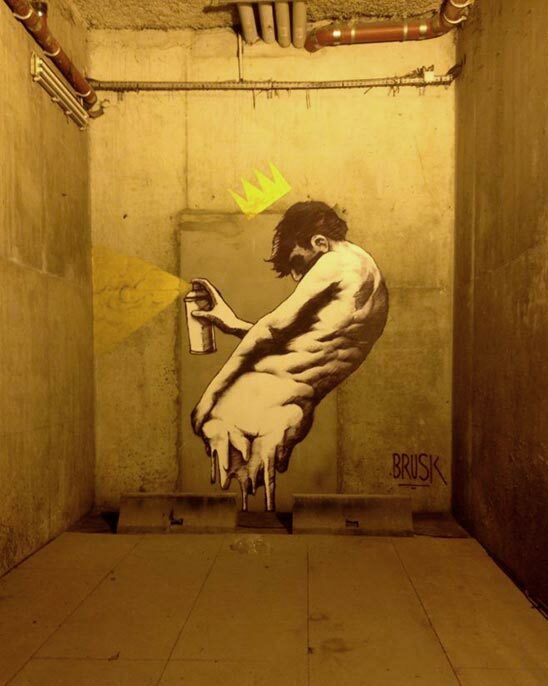 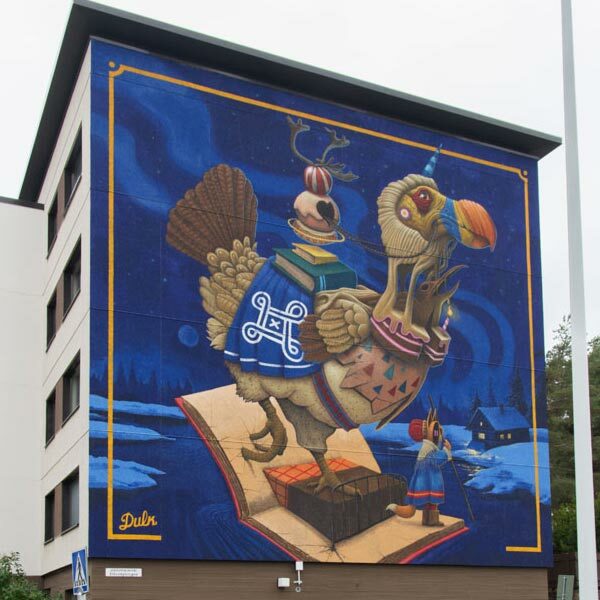 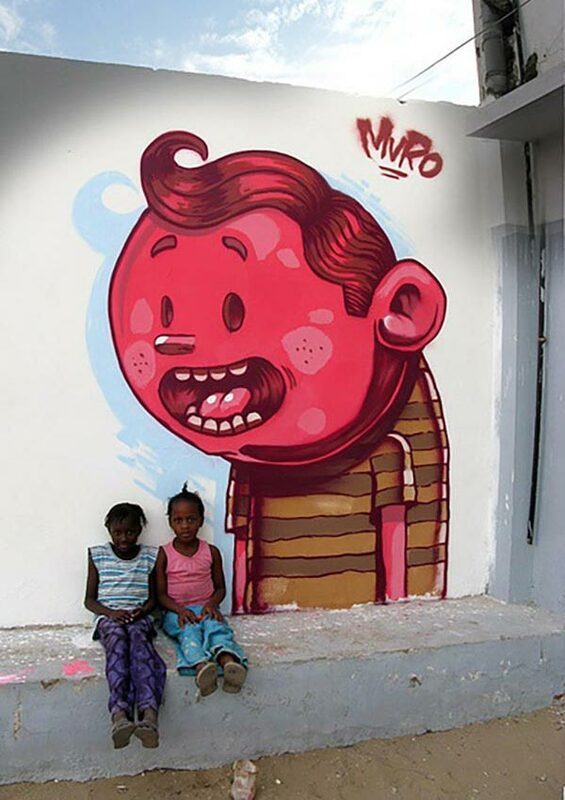 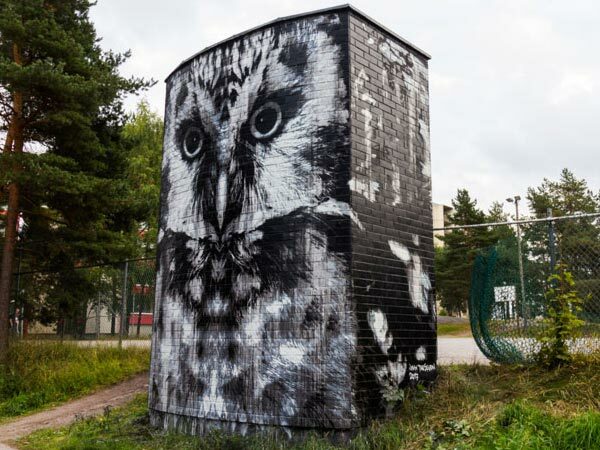 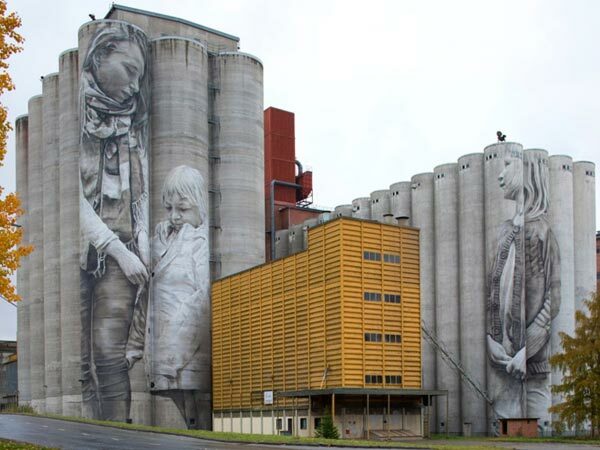 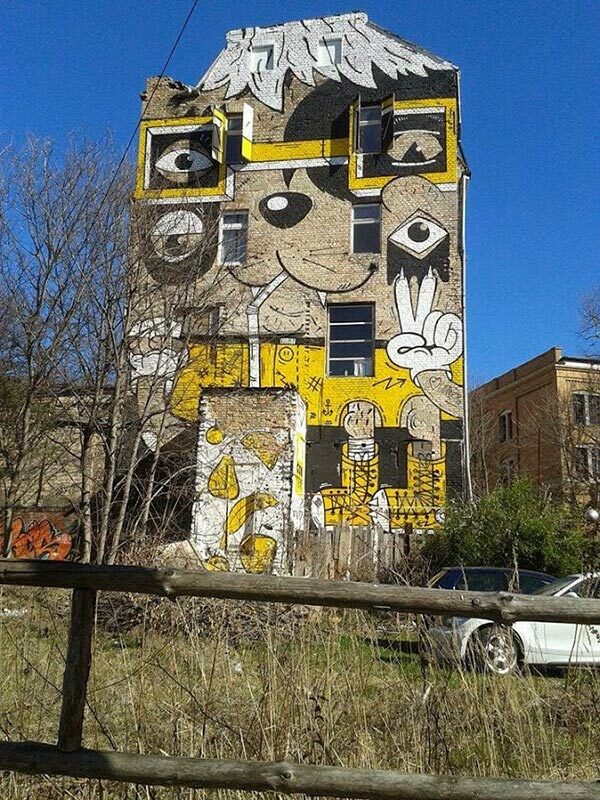 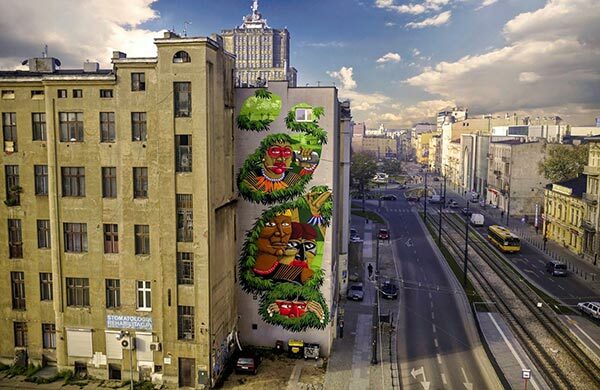 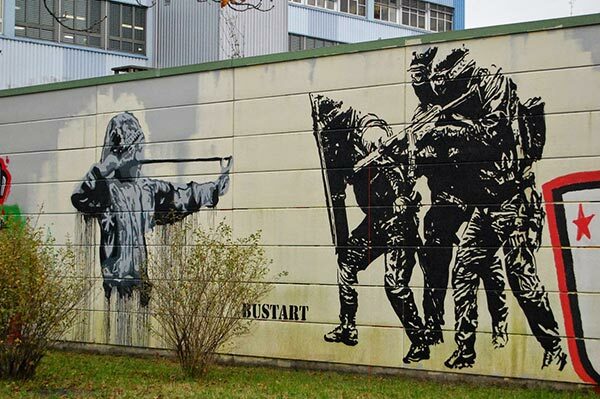 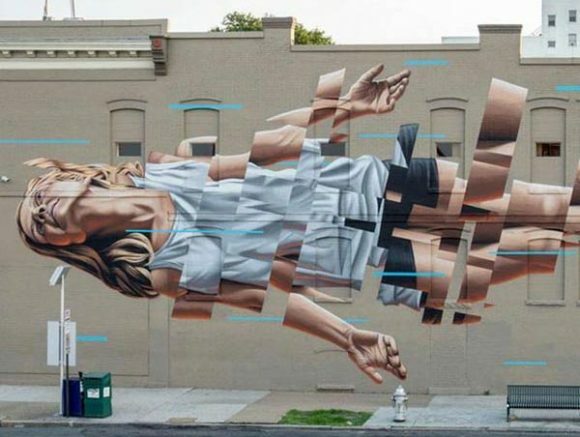 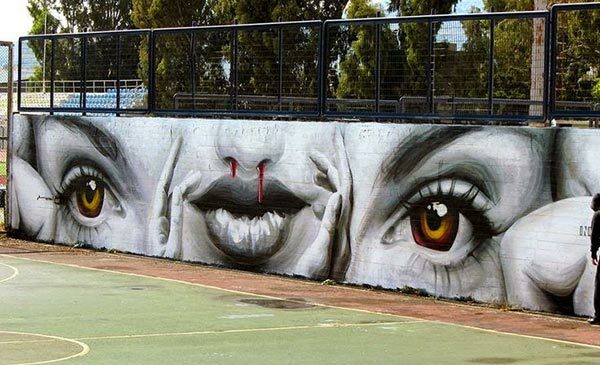 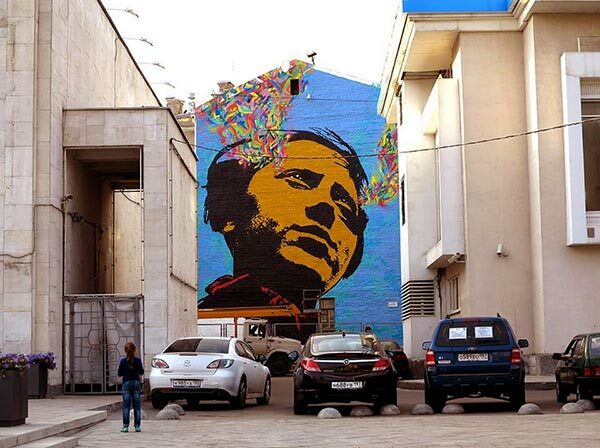 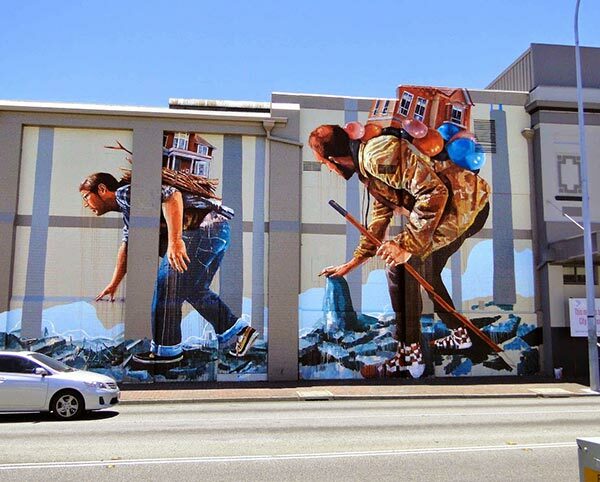 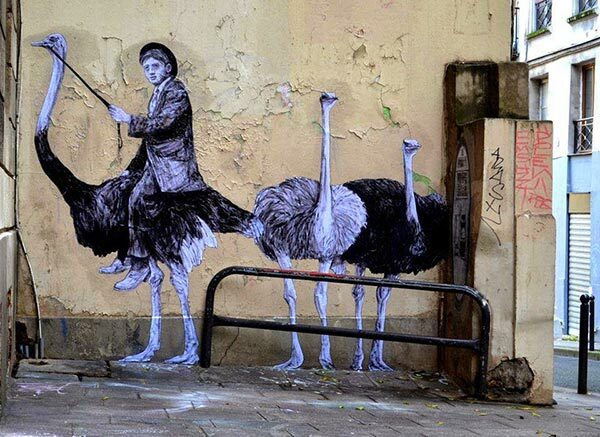 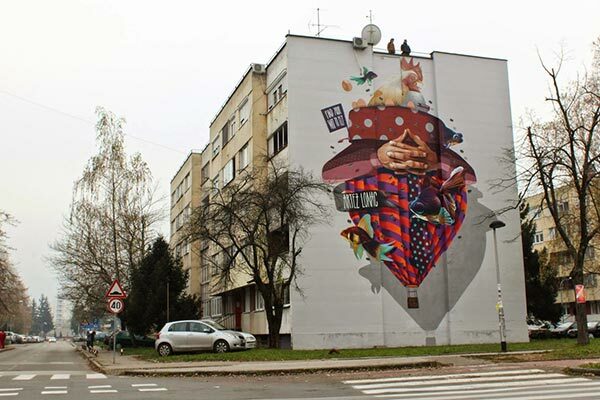 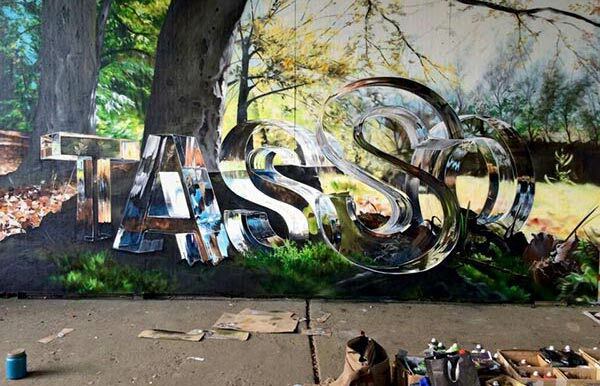 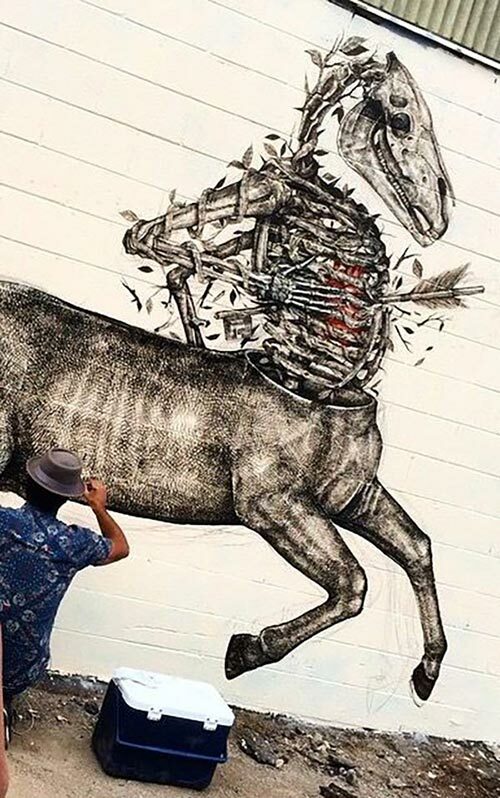 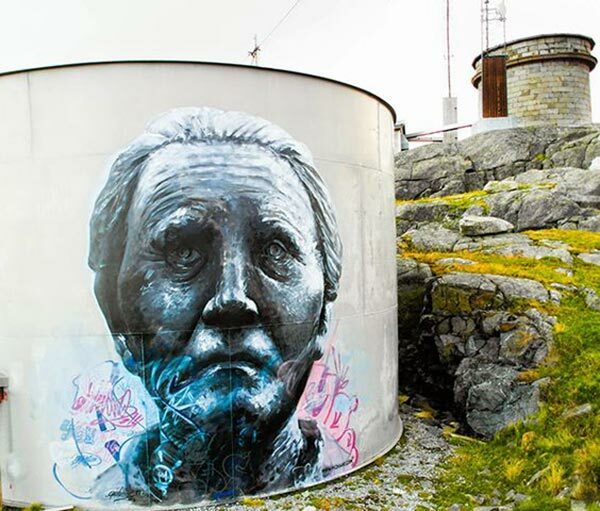 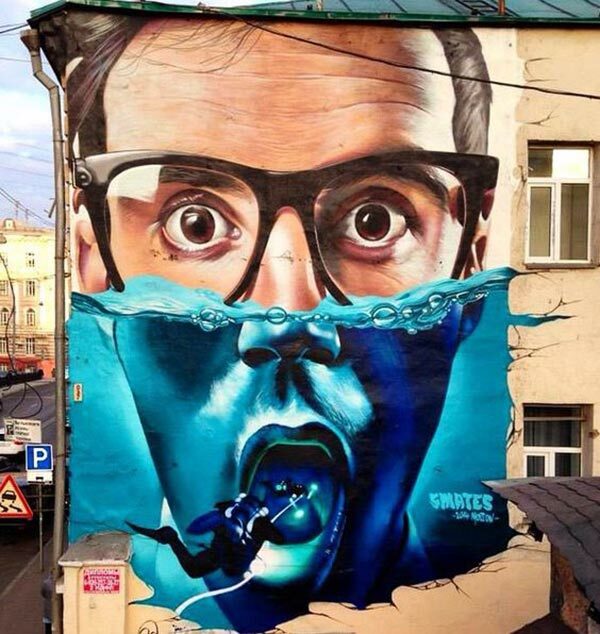 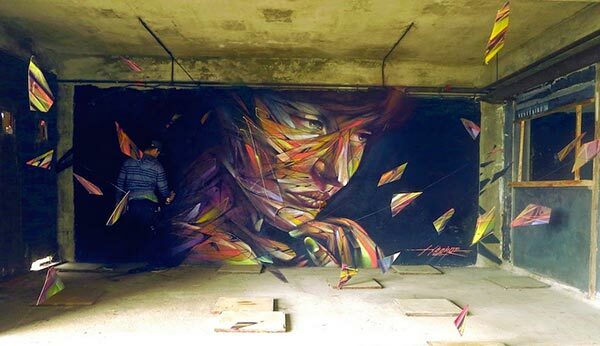 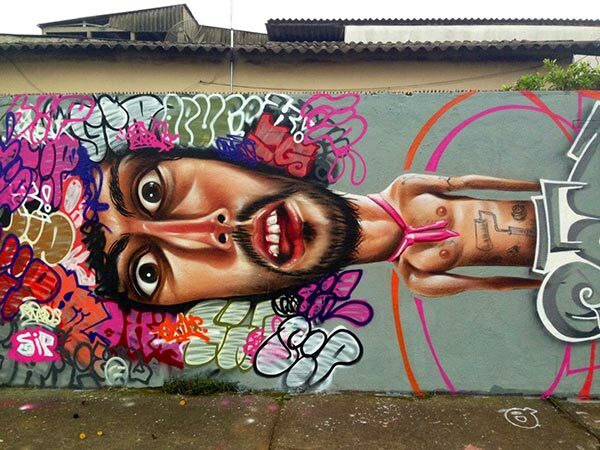 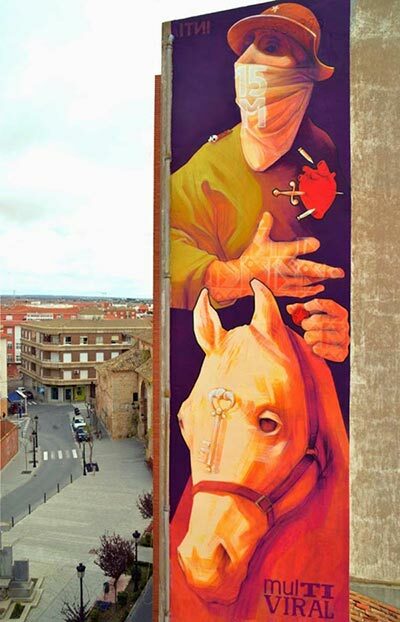 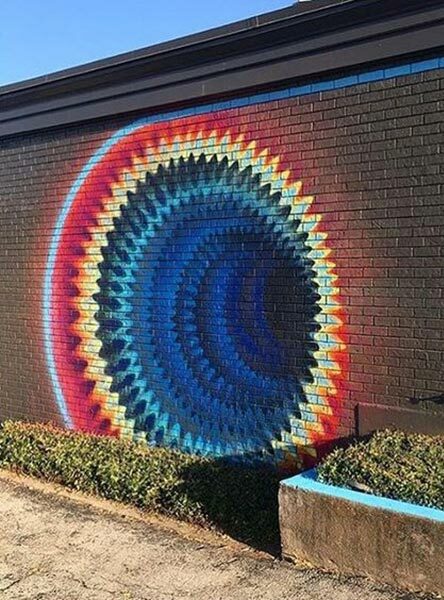 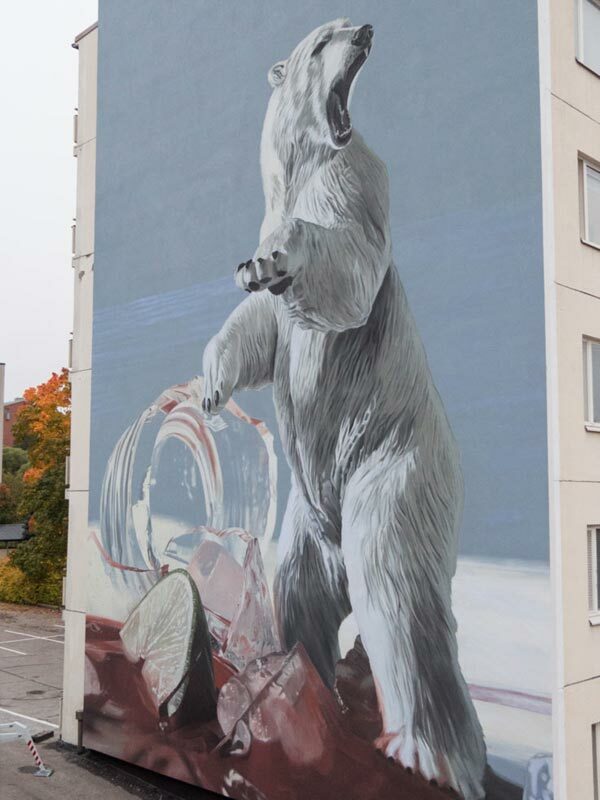 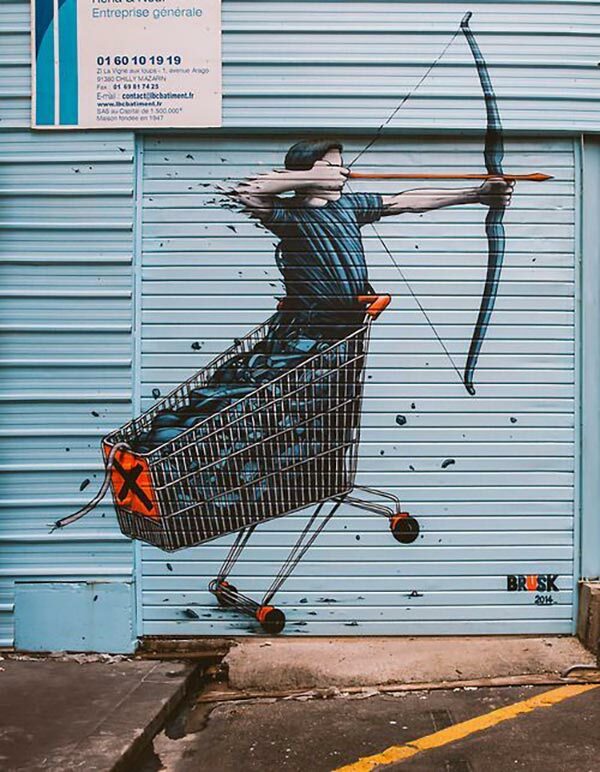 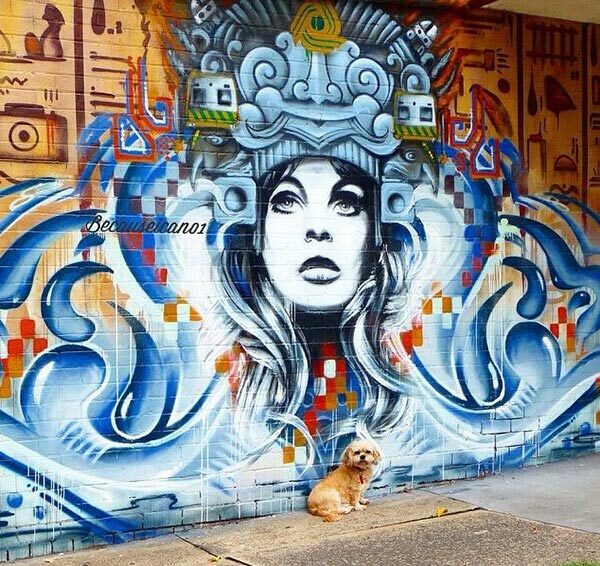 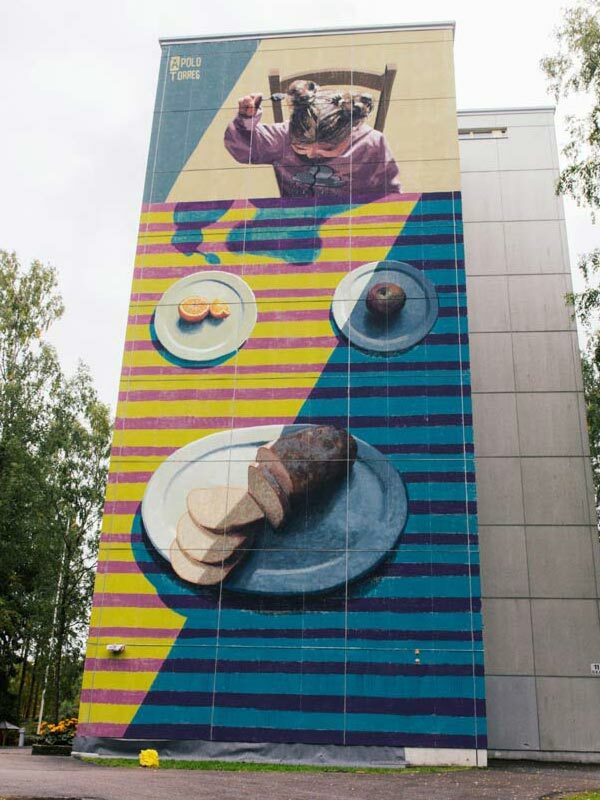 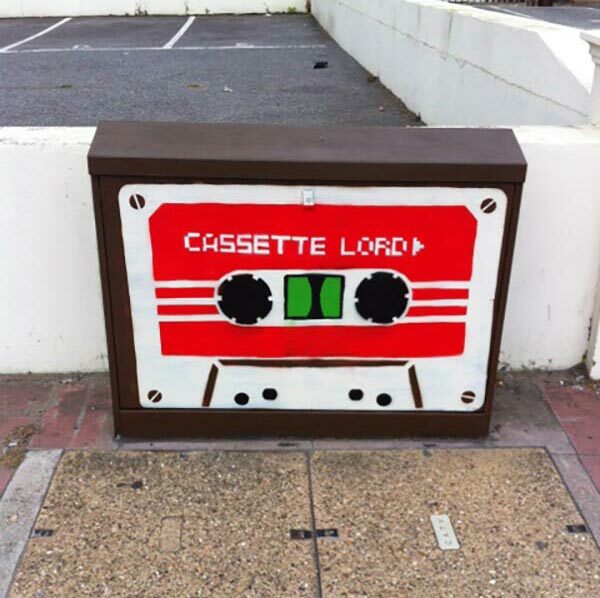 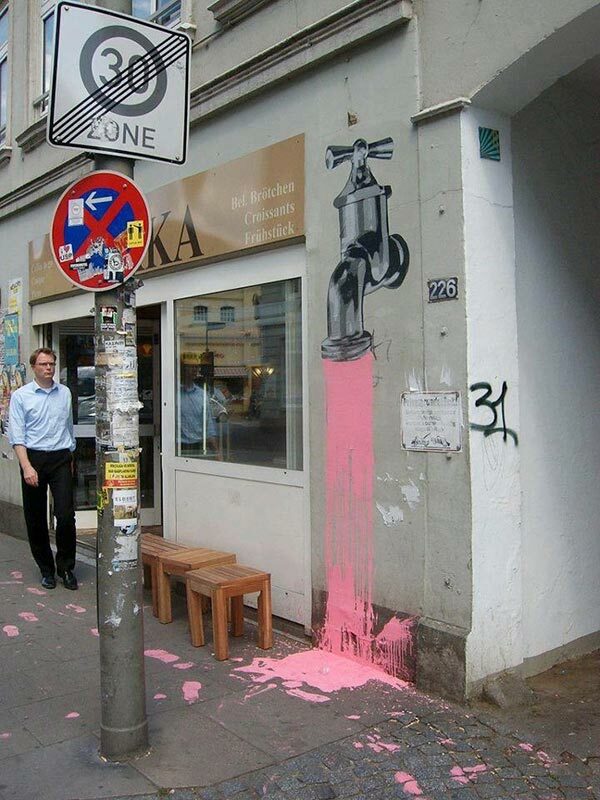 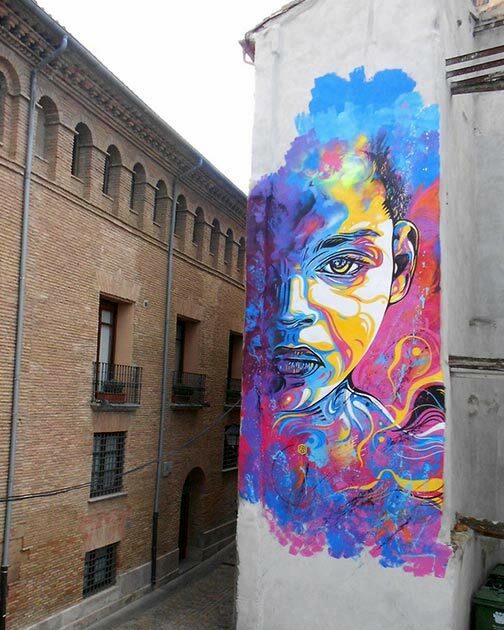 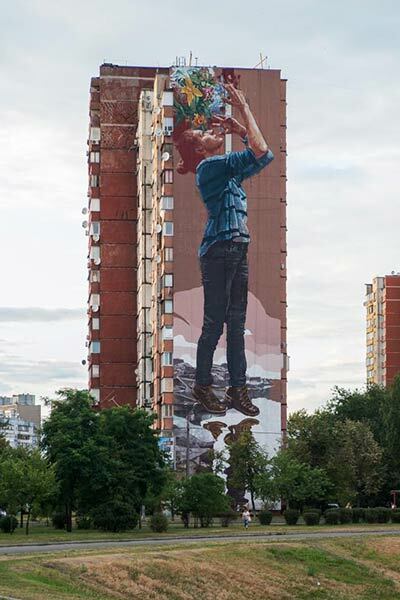 Welcome to another volume of cool street art from around the world. 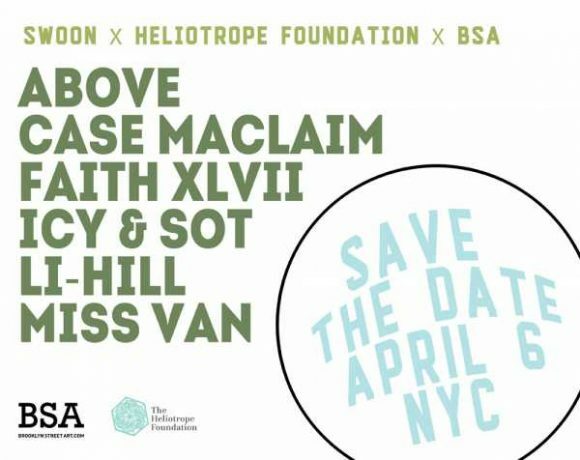 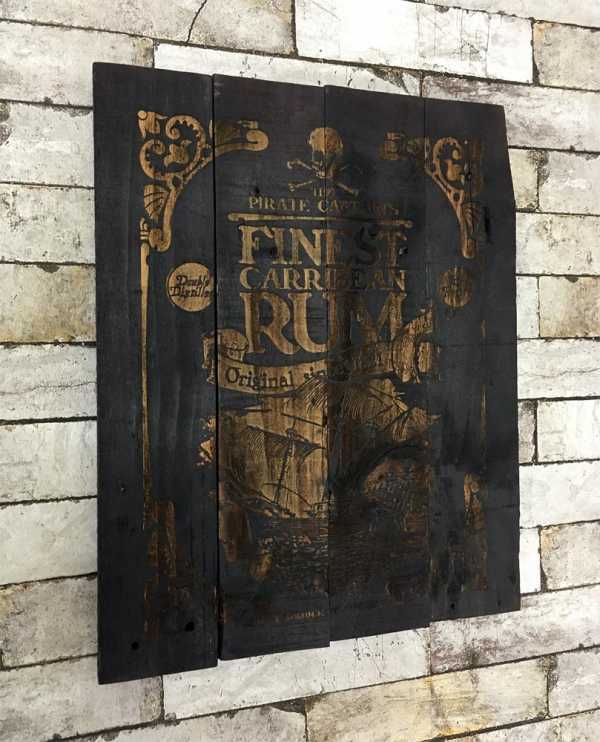 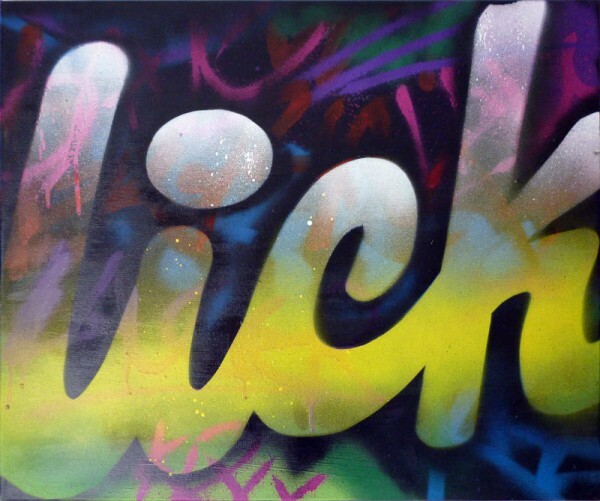 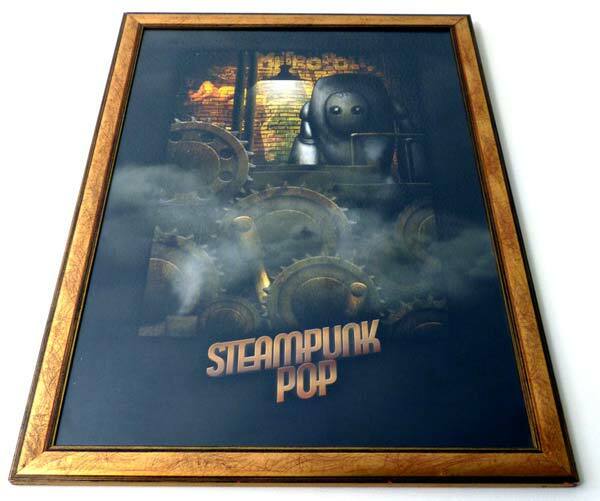 This time we’re collecting some amazing pieces from the last few years from a range of amazing urban artists. 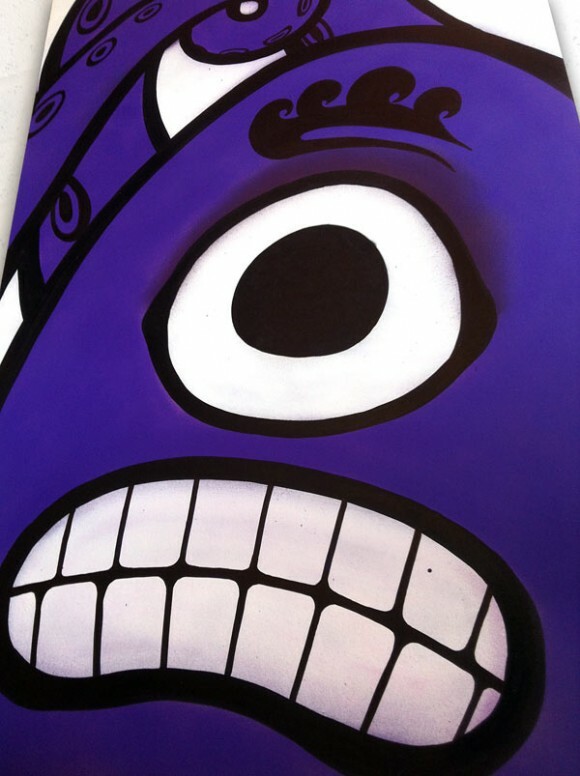 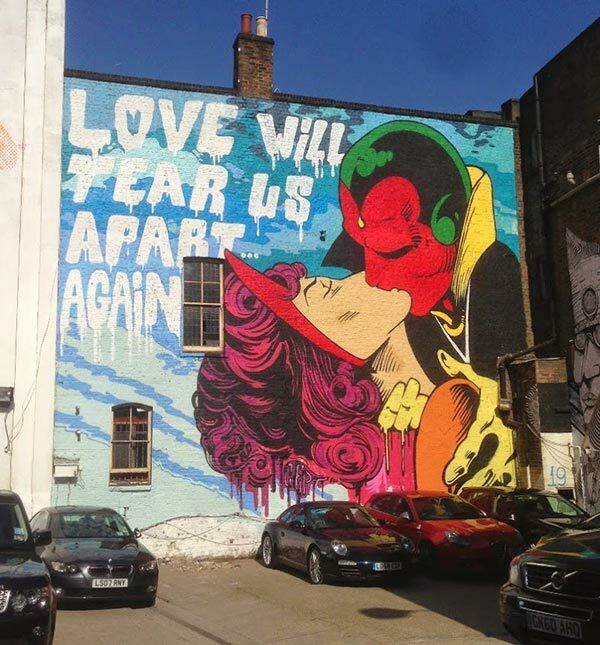 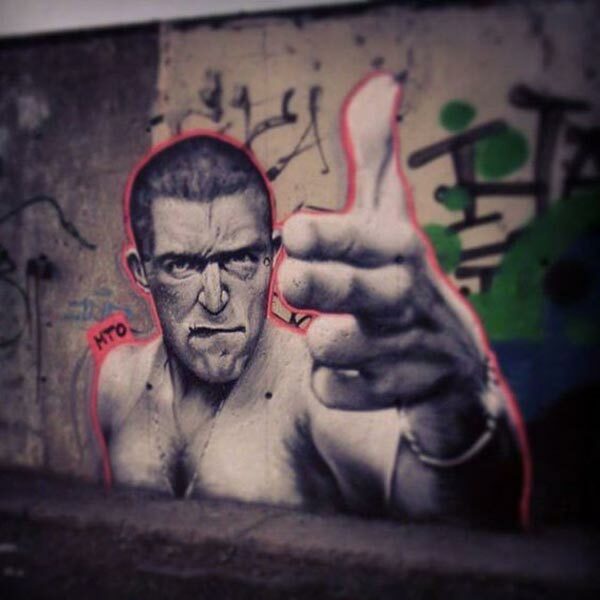 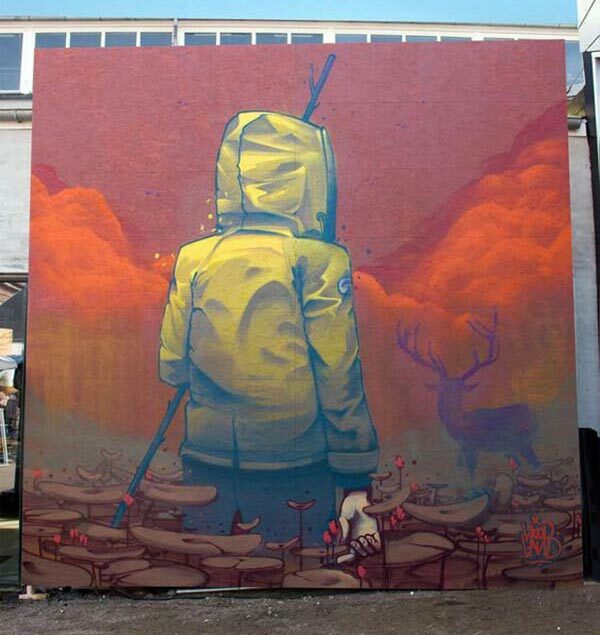 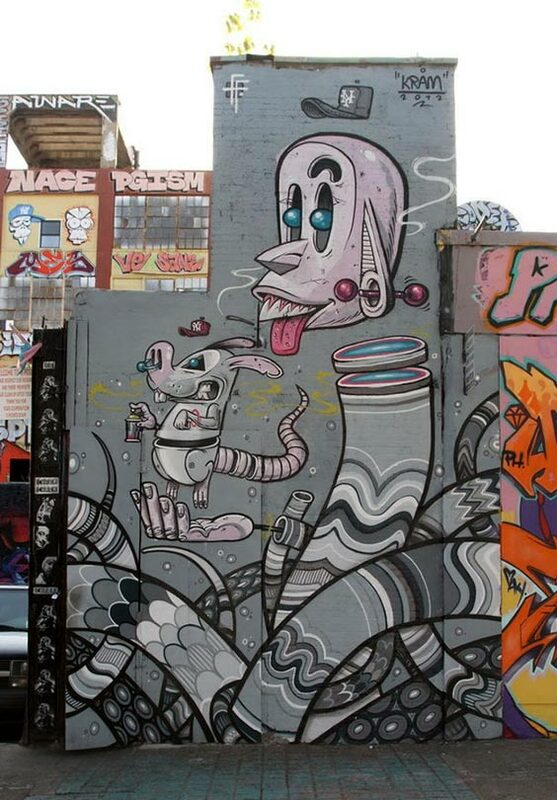 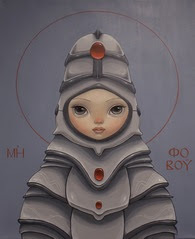 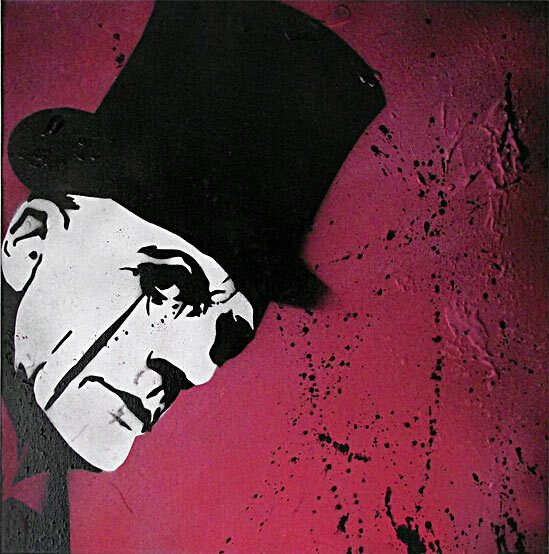 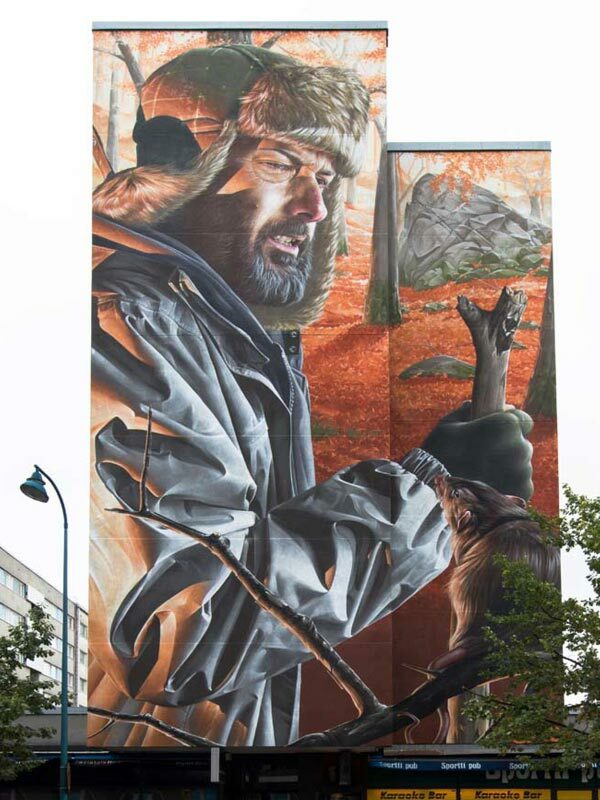 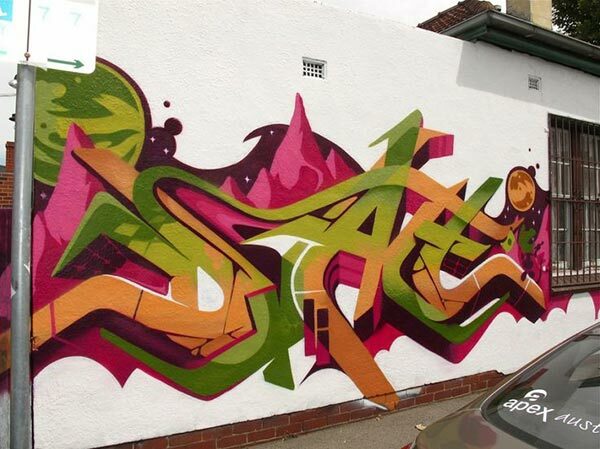 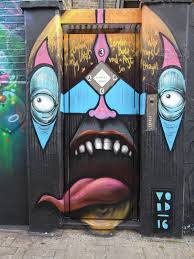 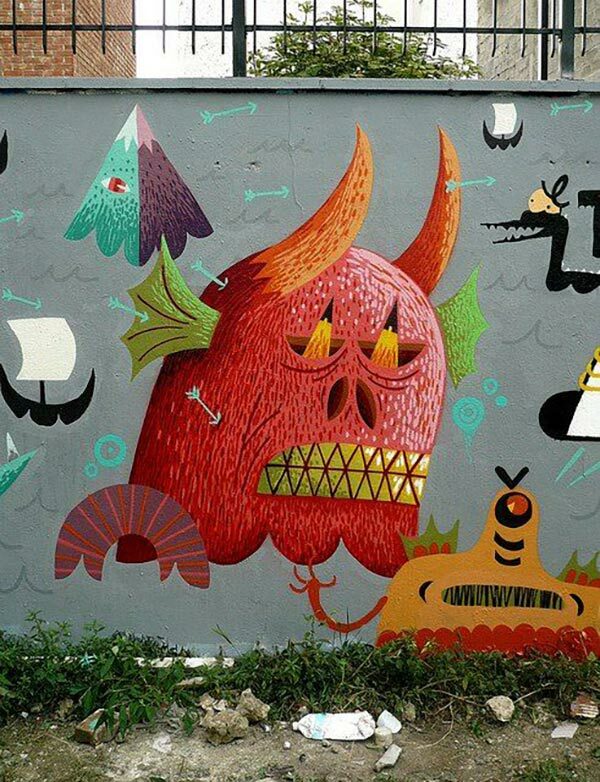 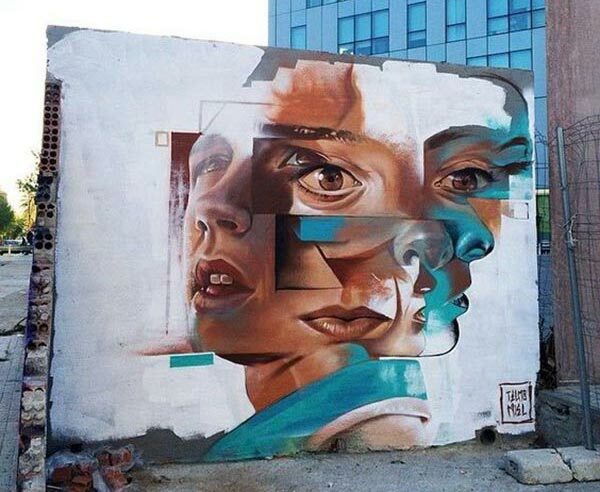 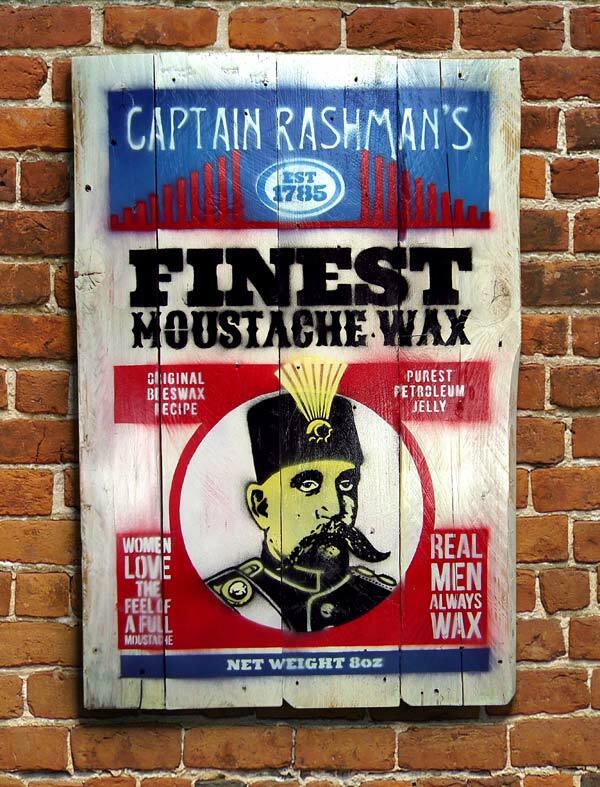 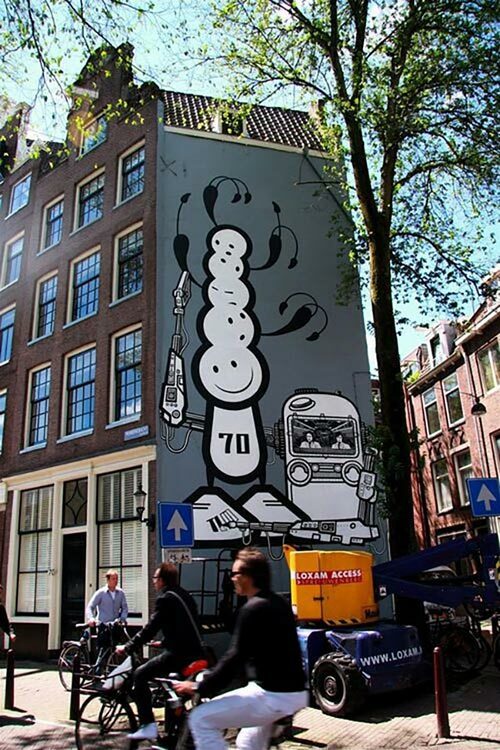 Check out more amazing graffiti art, street art and urban artists in Mr Pilgrim’s street art blog. 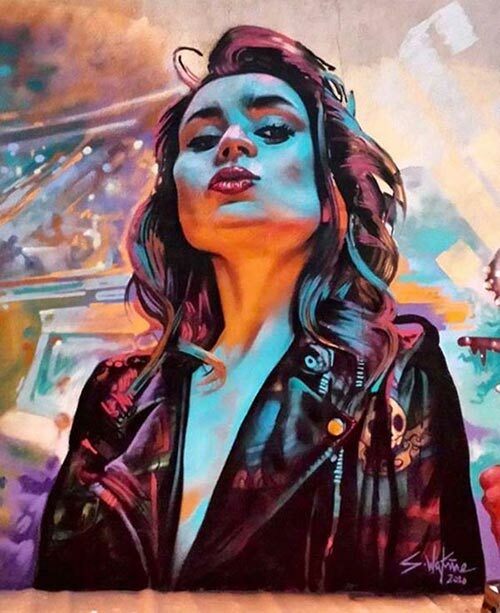 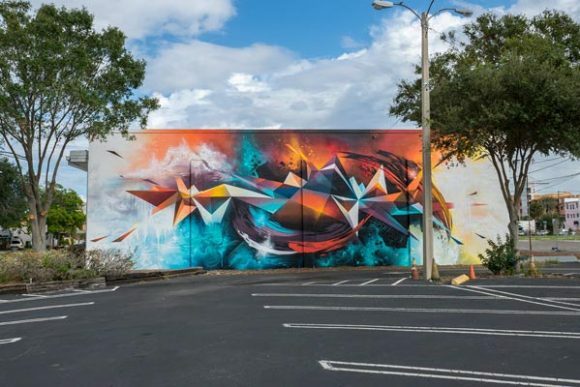 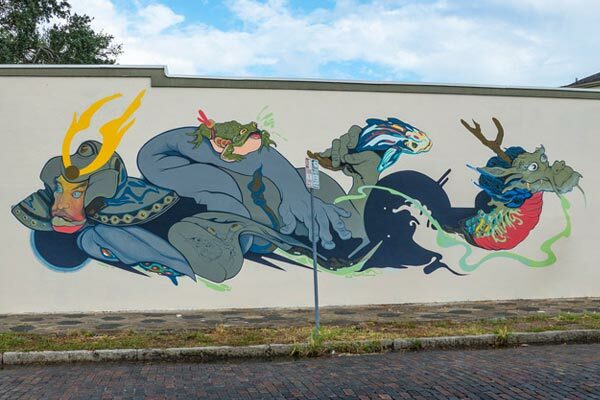 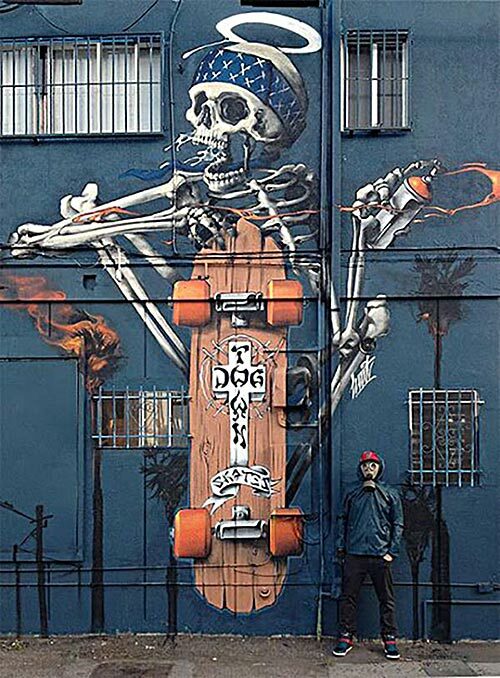 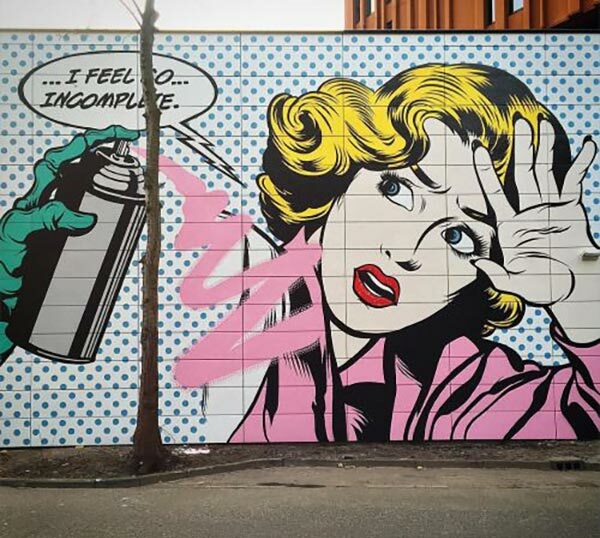 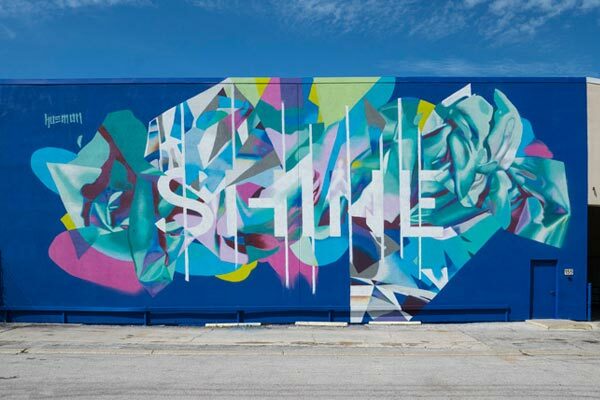 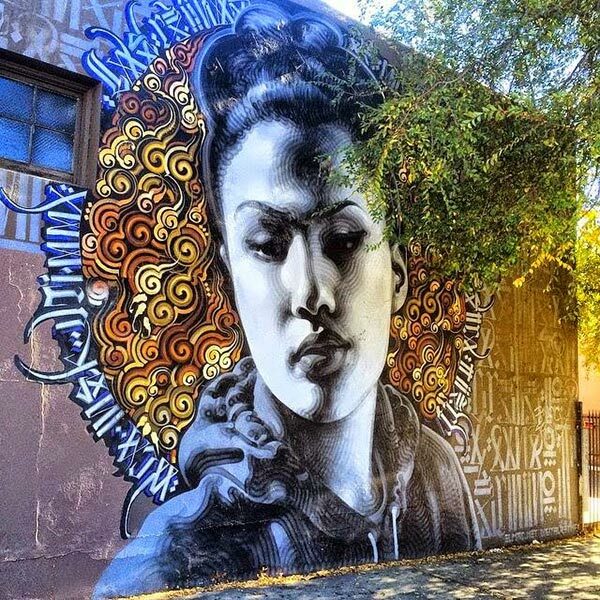 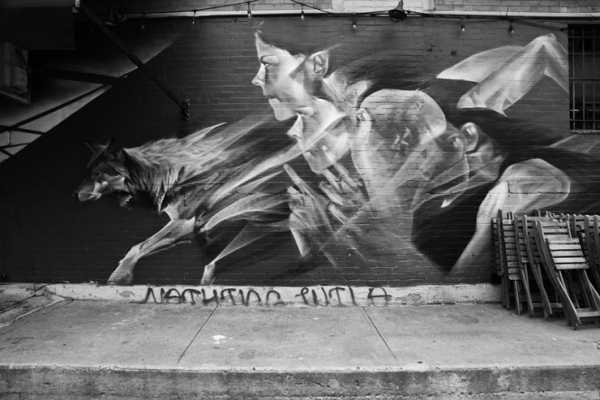 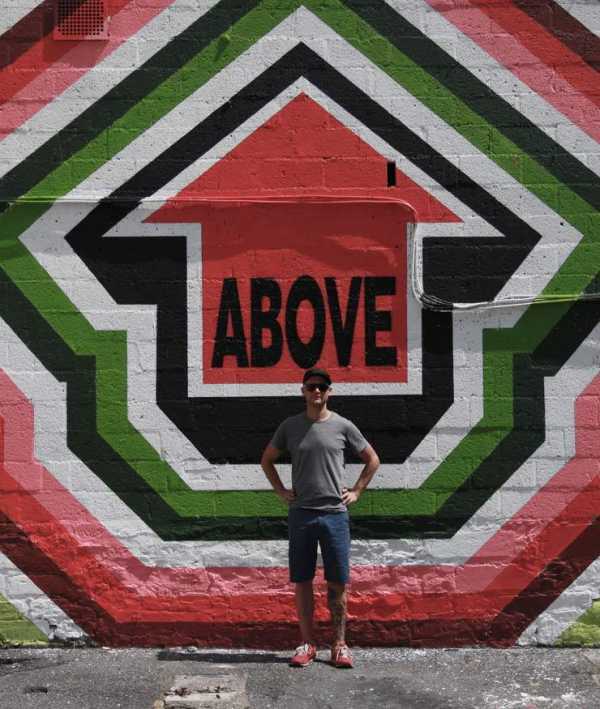 Discover the world of street art and great wall murals from the professionals who bring this amazing world to light at amazing sites such as Brooklyn Street Art and Street Art News. 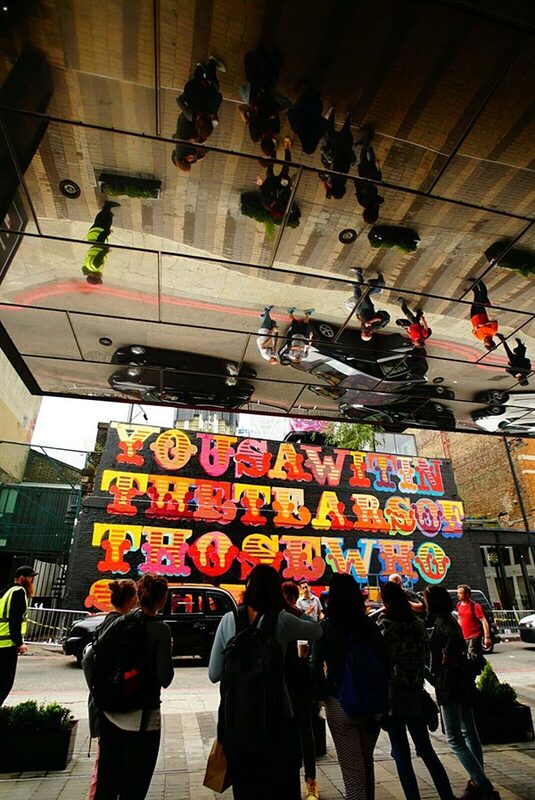 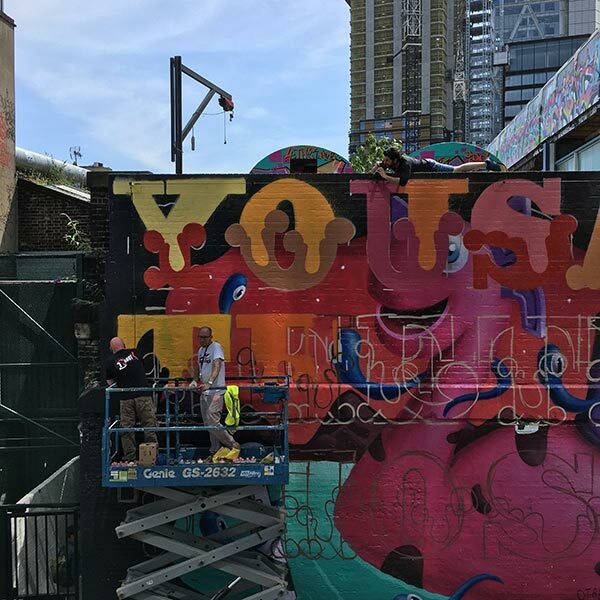 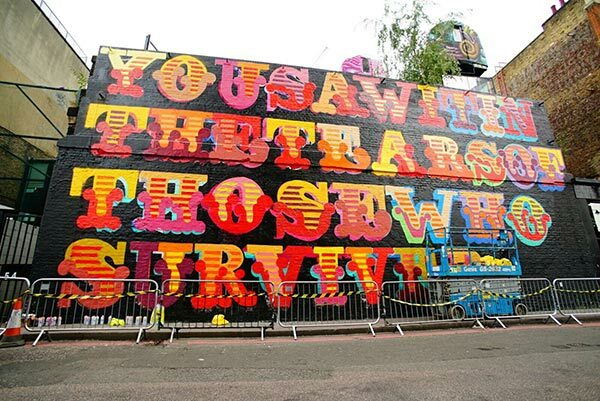 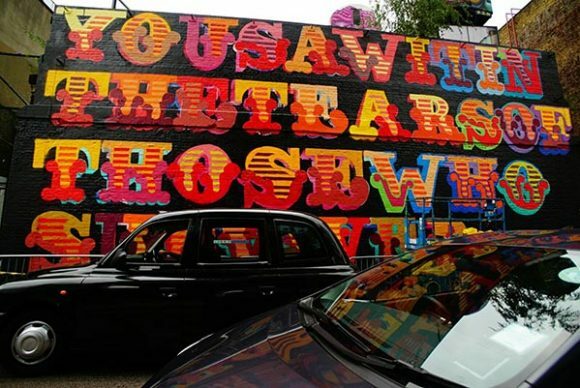 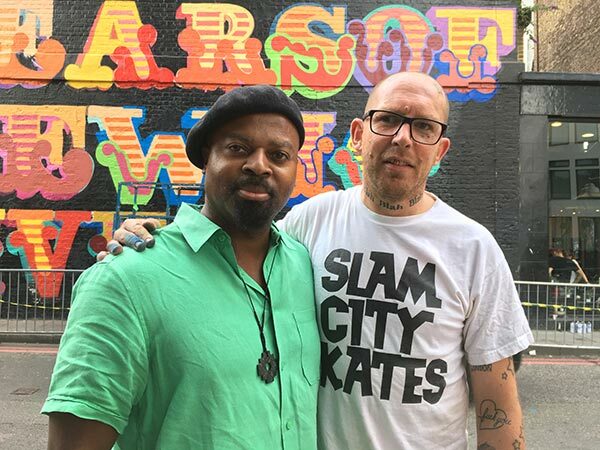 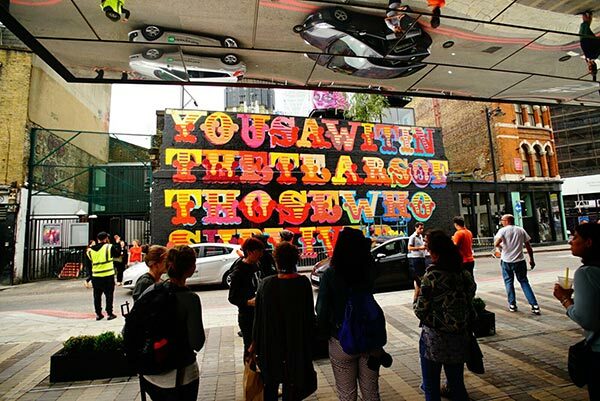 The brand new mural in London at Village Underground, to honour the victims and survivors of Grenfell Tower – has been completed and revealed today in a full photo gallery below created by the renowned English street artist Ben Eine, featuring a poem written about the disaster by the Booker Prize-winning Nigerian writer Ben Okri – marks the one-month anniversary of a fire that claimed at least 80 lives. 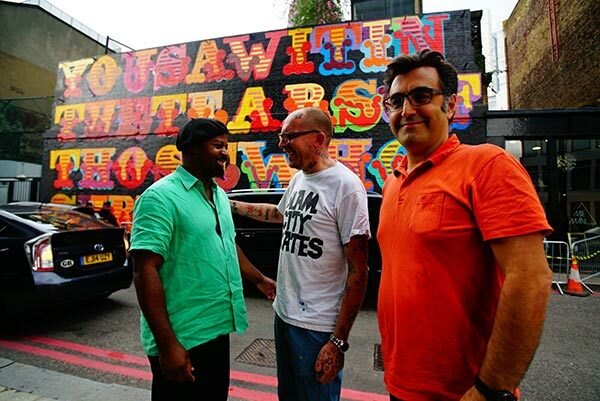 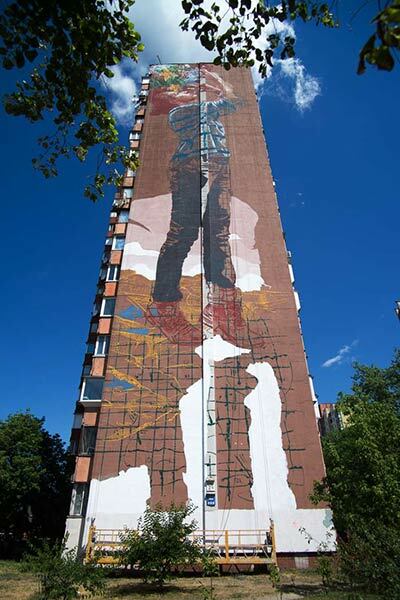 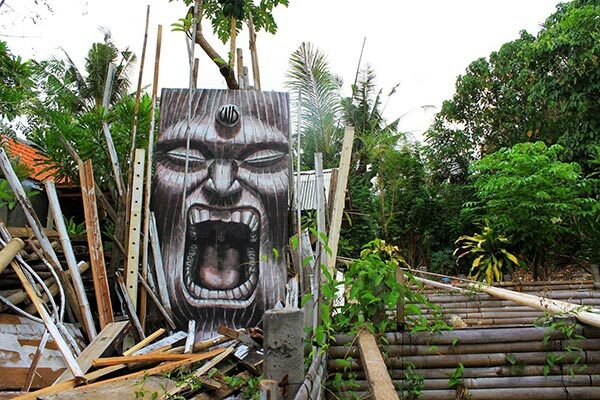 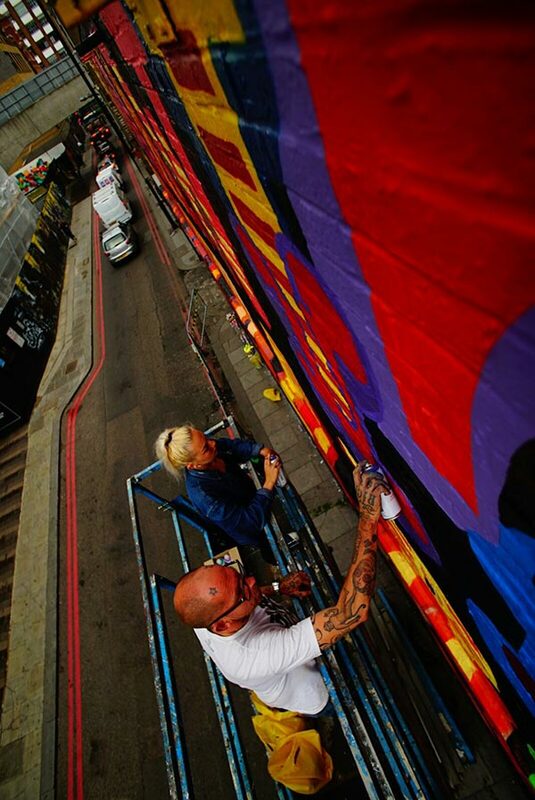 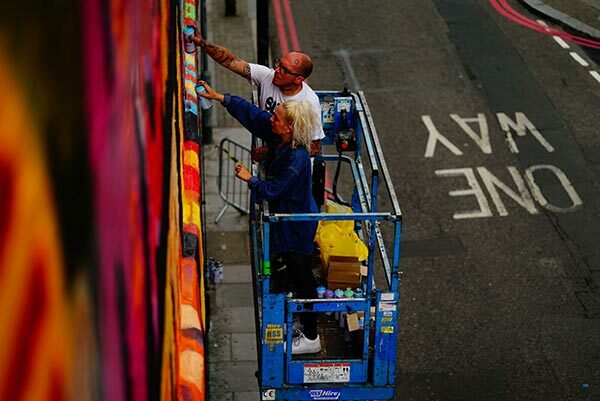 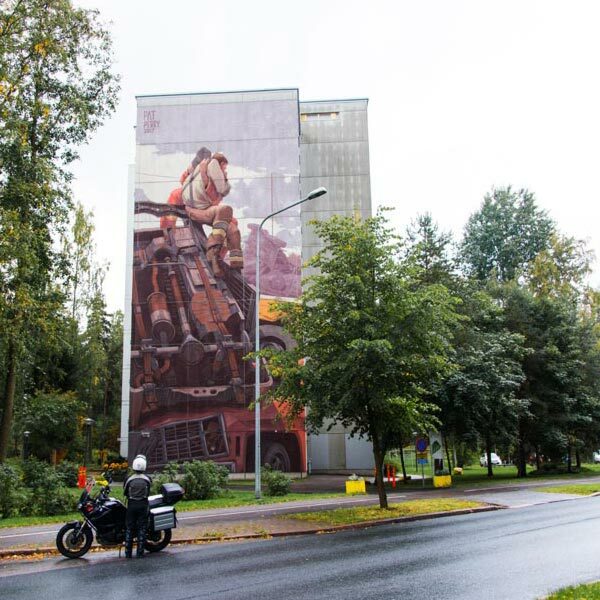 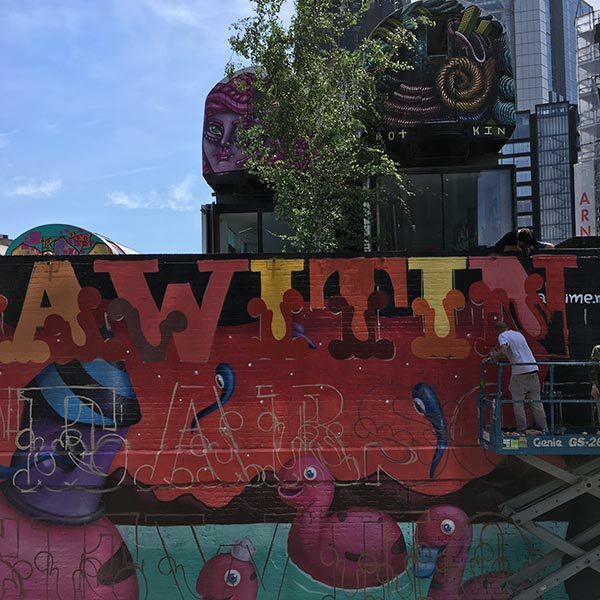 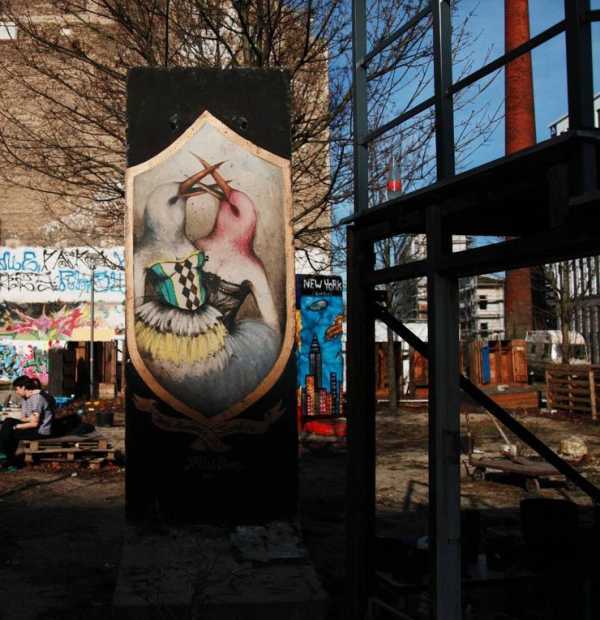 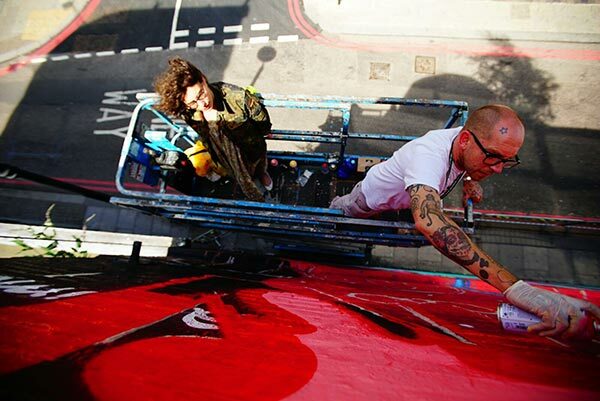 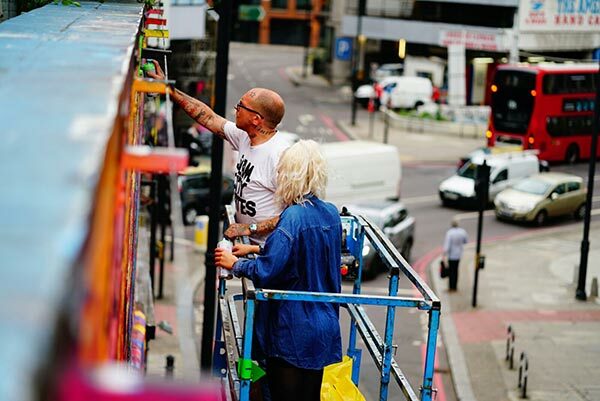 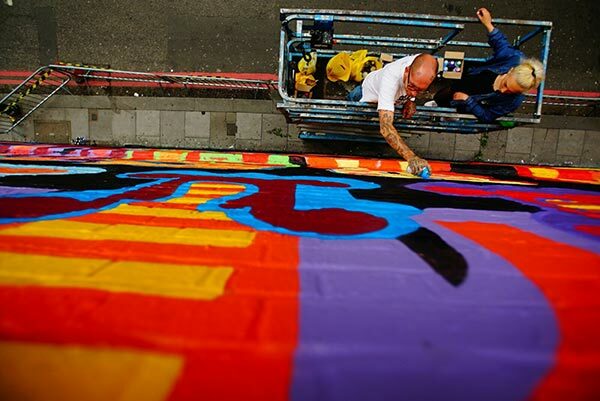 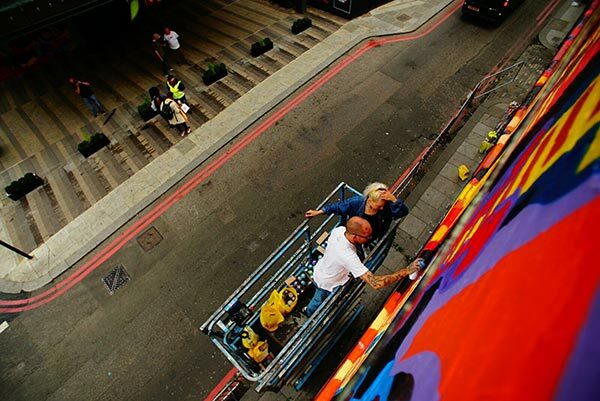 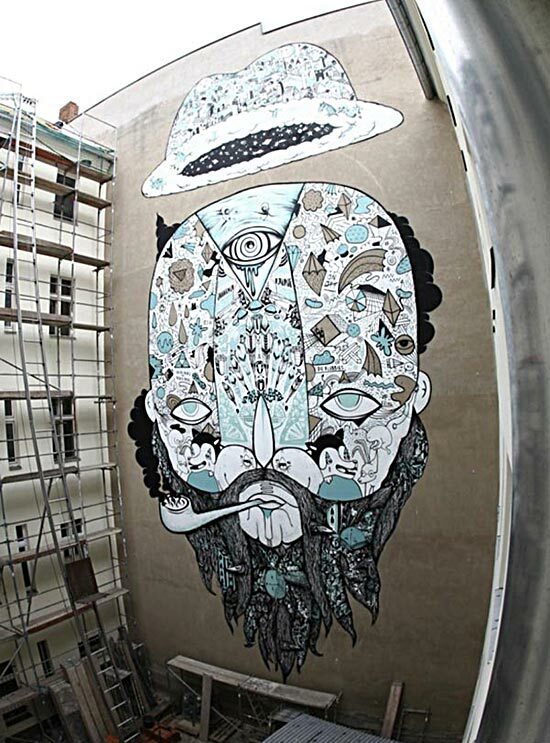 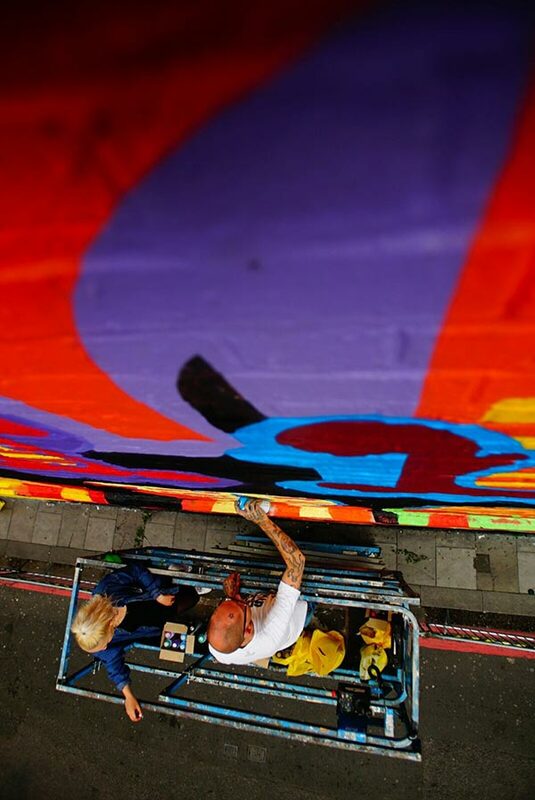 The new mural will be painted over 18-19 July and interviews can be arranged with Okri, Eine and Bahari at the site. 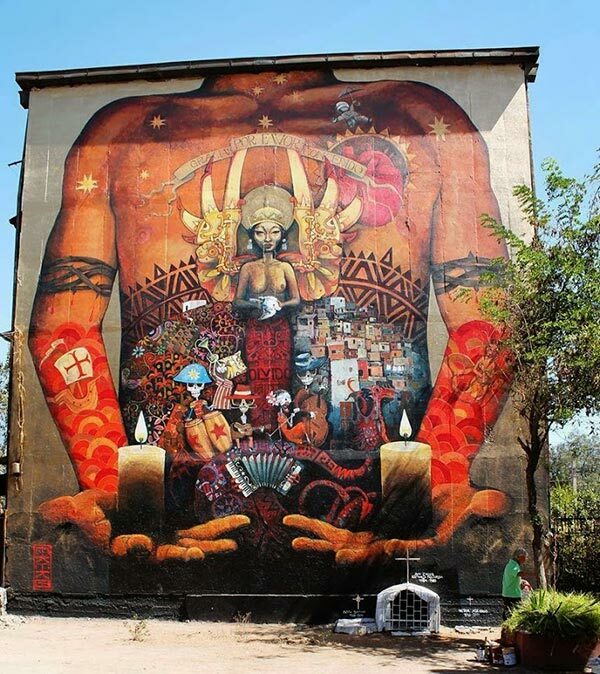 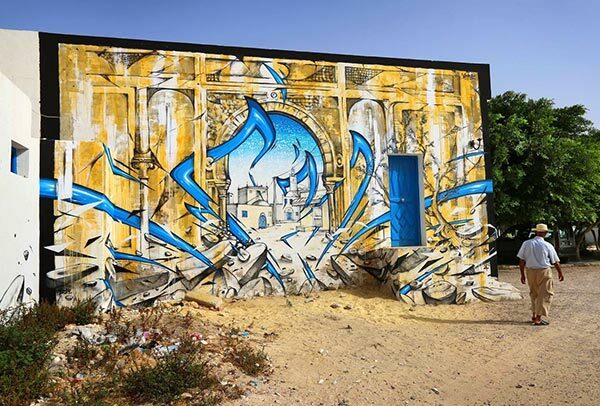 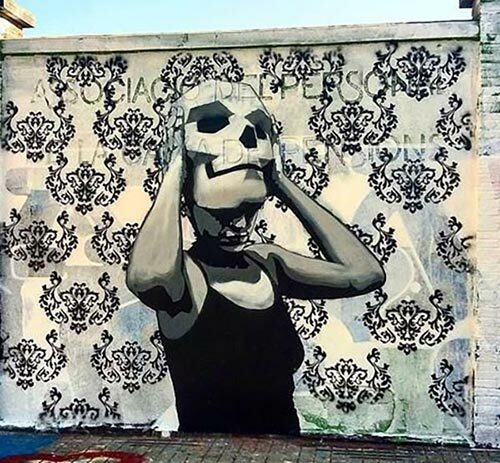 Check out more amazing urban art, street art graffiti and great wall murals in Mr Pilgrim’s street art blog. 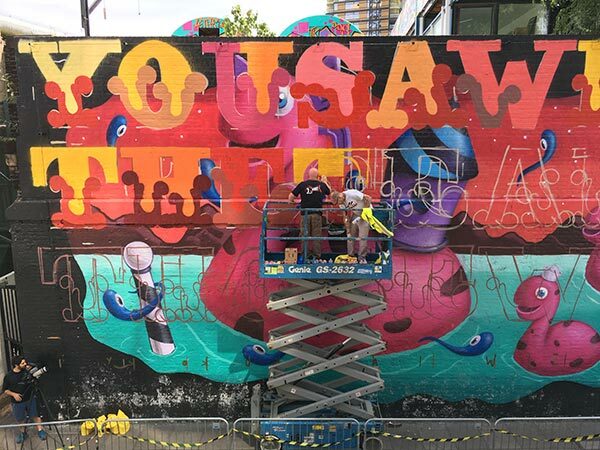 Not A Crime returns to London with new Village Underground mural and film to raise awareness of human rights abuses in Iran. 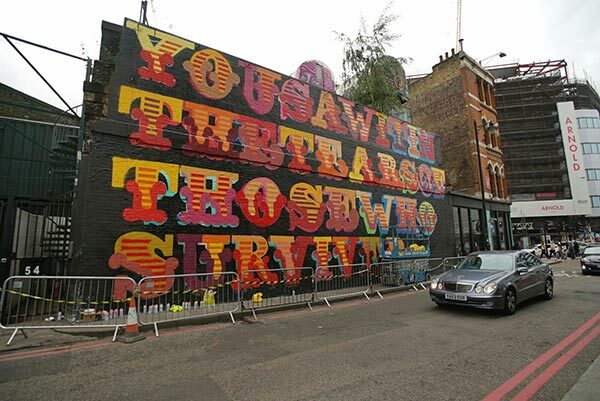 London (March 23, 2017) — Not A Crime, a campaign to raise awareness of human rights abuses in Iran by creating public art in cities around the world, returns to London this week with a new mural at the famed Village Underground wall on Holywell Lane in Shoreditch. 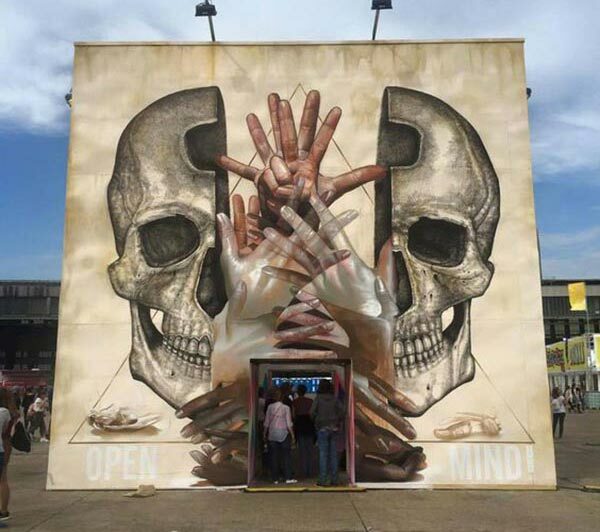 The campaign works with leading artists to provoke conversations about human rights violations – particularly education apartheid against the Baha’i religious minority – in Iran. 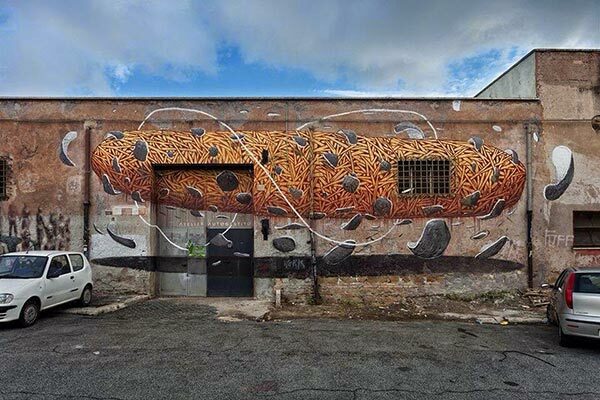 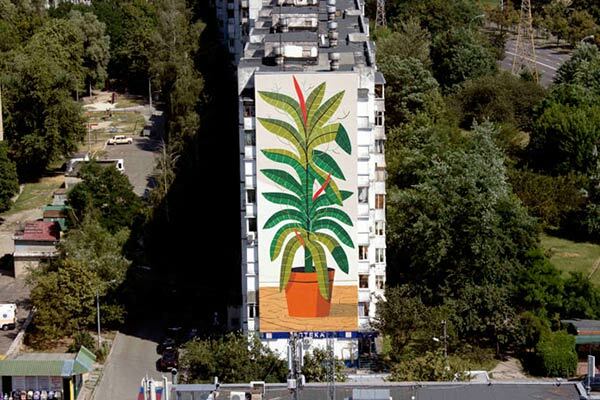 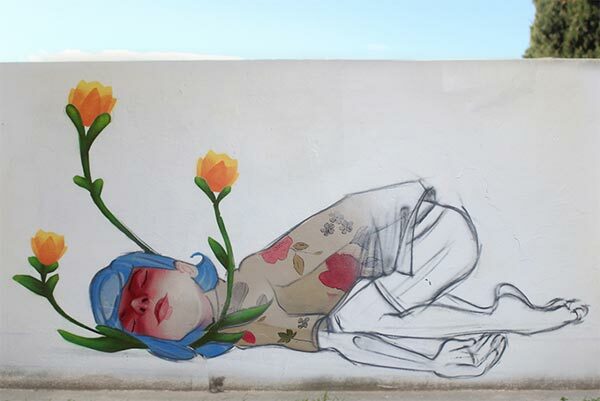 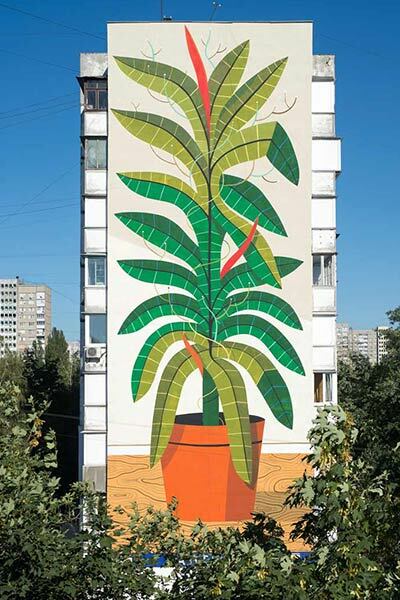 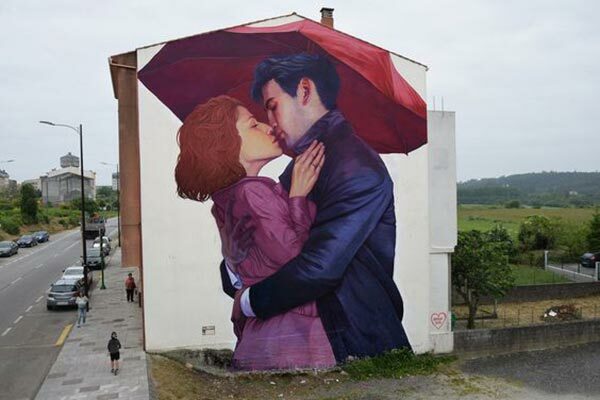 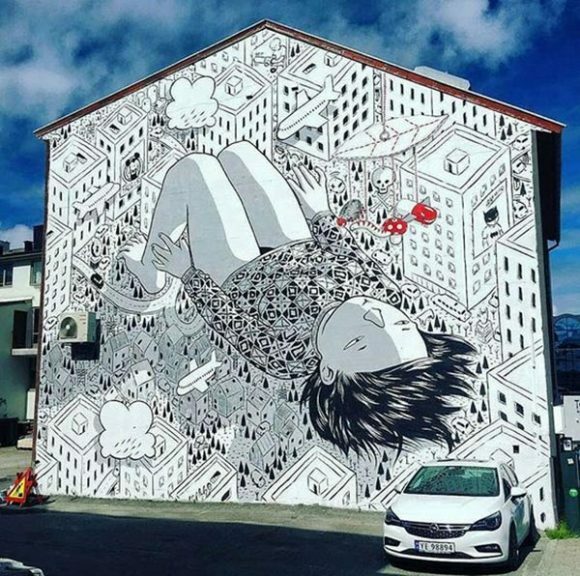 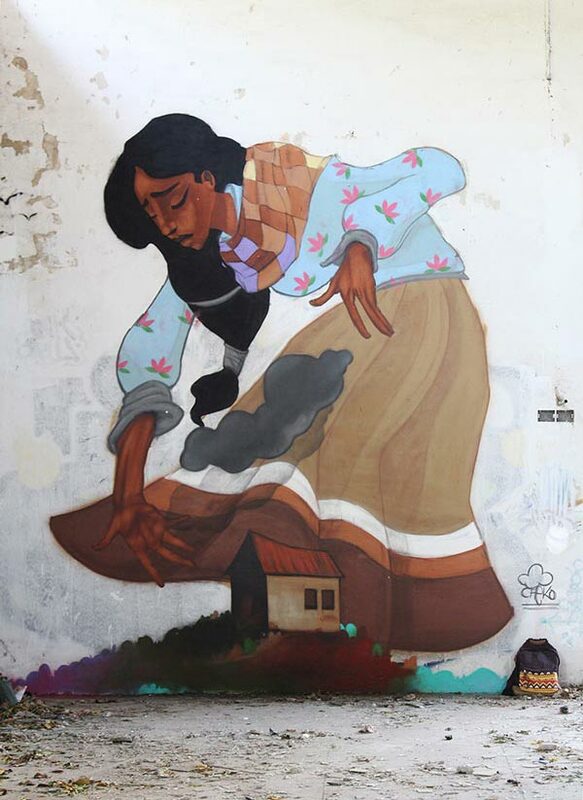 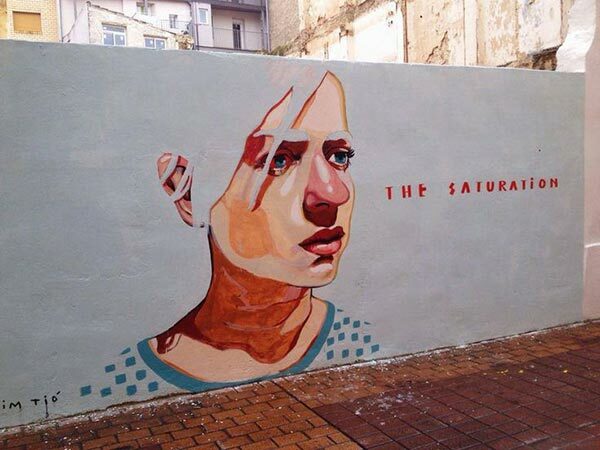 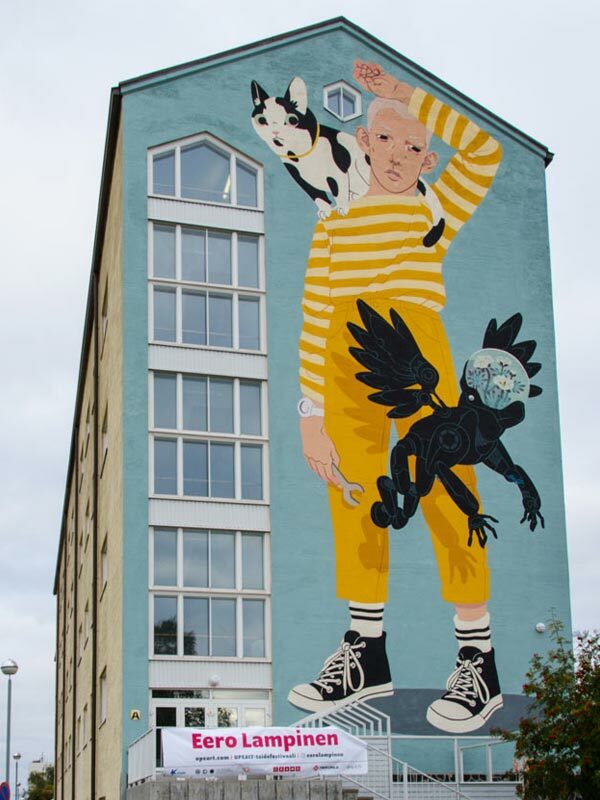 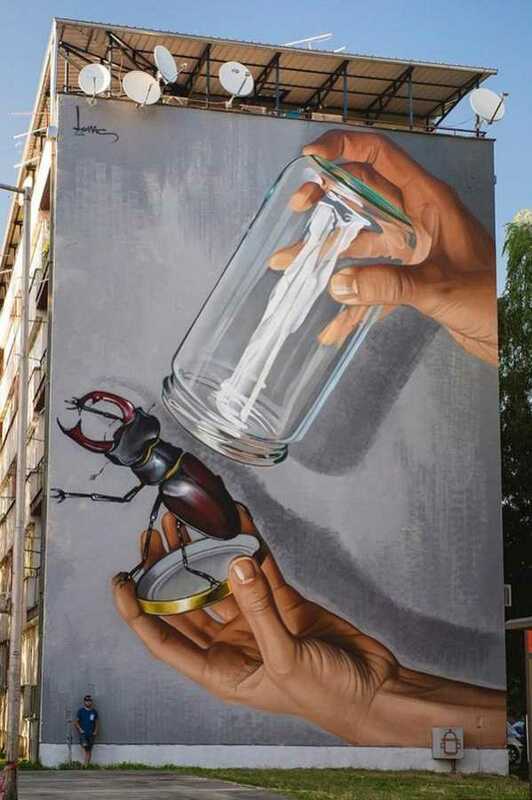 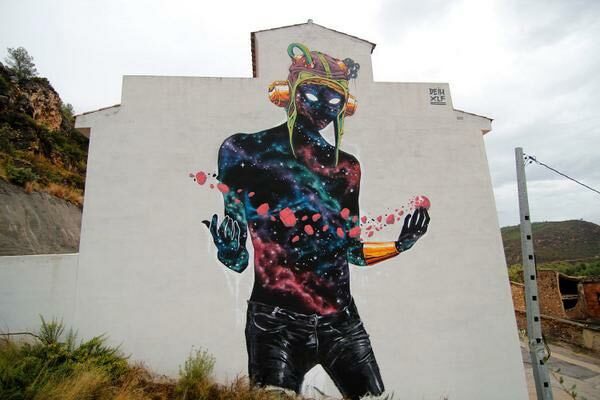 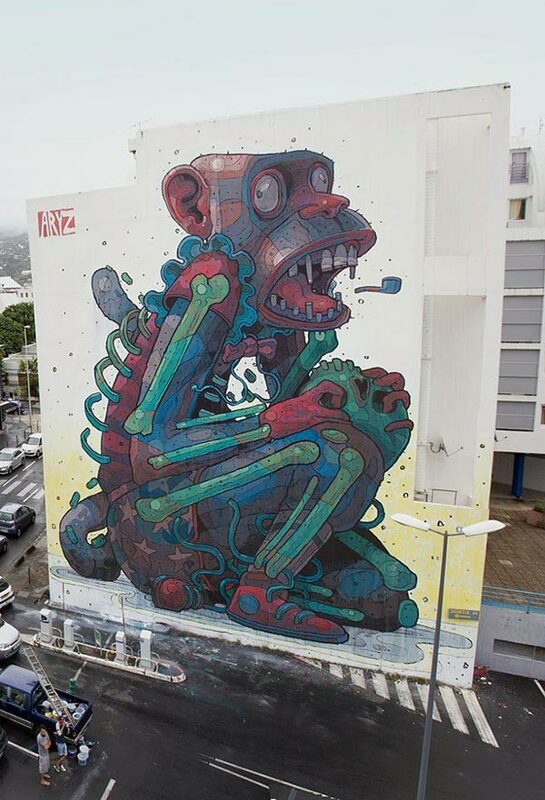 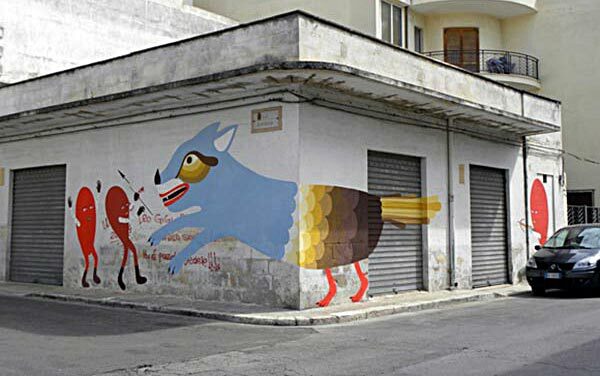 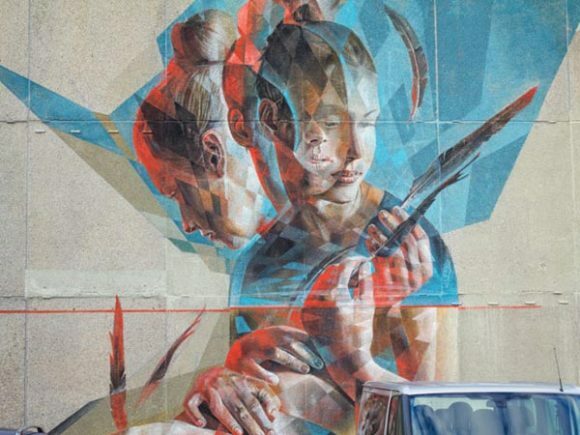 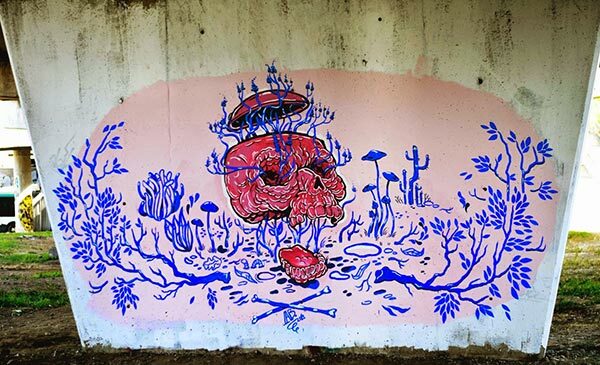 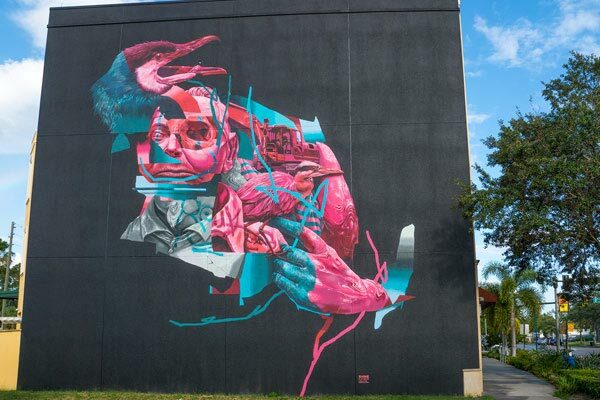 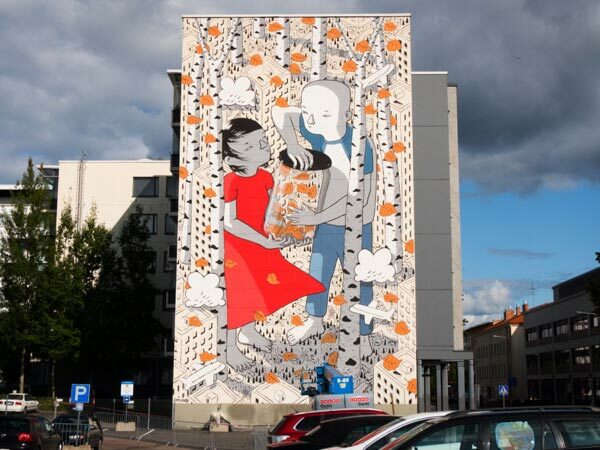 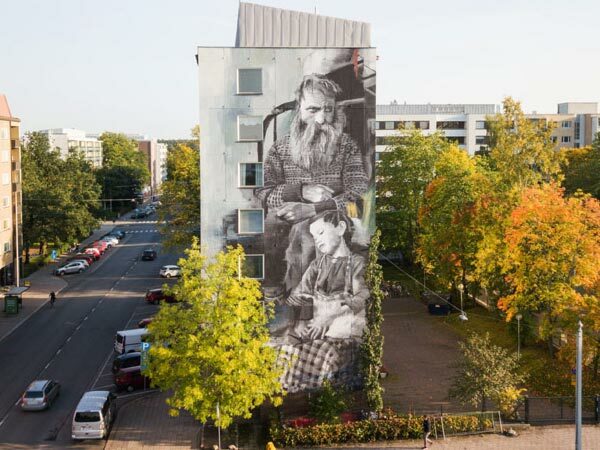 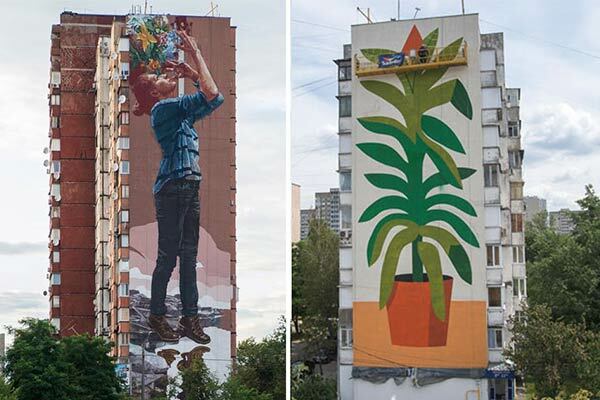 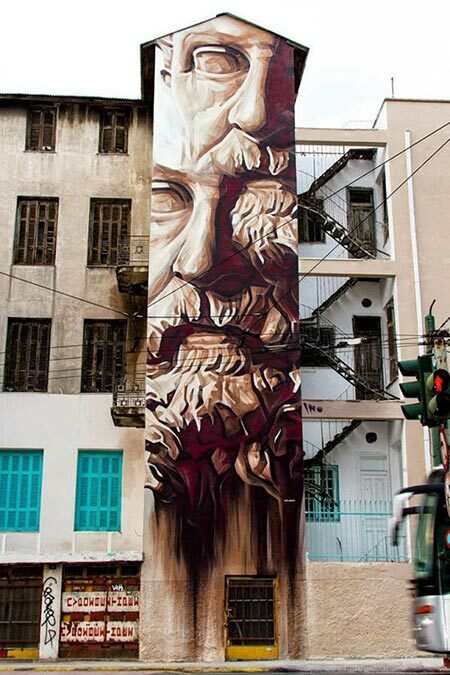 Argiris Ser, a Greek street artist whose work appears across Greece as well as in the United Kingdom, France, Italy, Belgium, Netherlands, Germany, Spain and Cyprus, will paint the work. 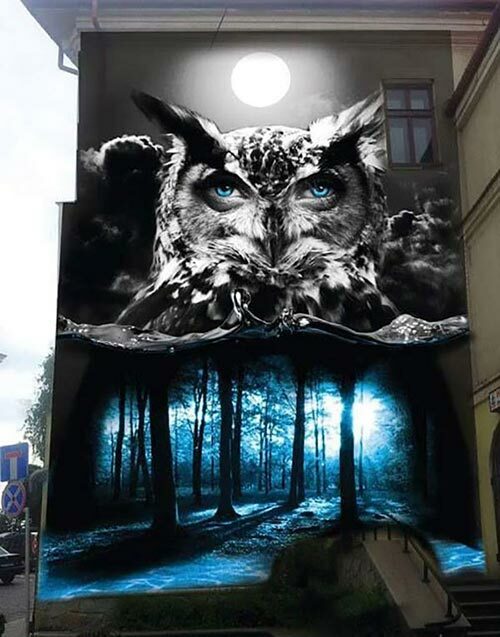 Ser’s signature style will feature fantastical animals in a parallel universe who are concerned with the same universal value of education. 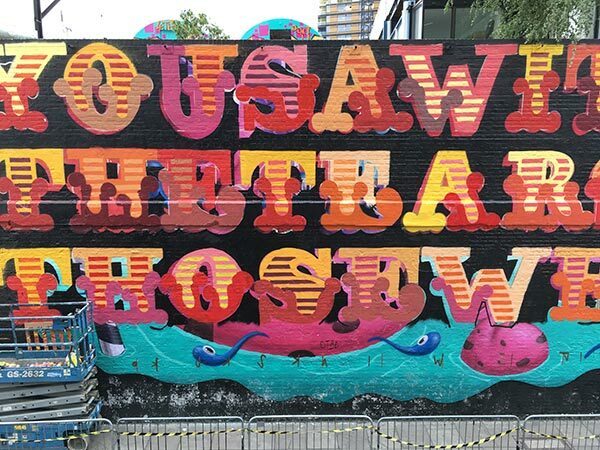 Maziar Bahari, a former Newsweek journalist who was jailed in Iran and became the subject of Jon Stewart’s film “Rosewater”, founded Not A Crime to expose Iran’s human rights violations and put pressure on the government. 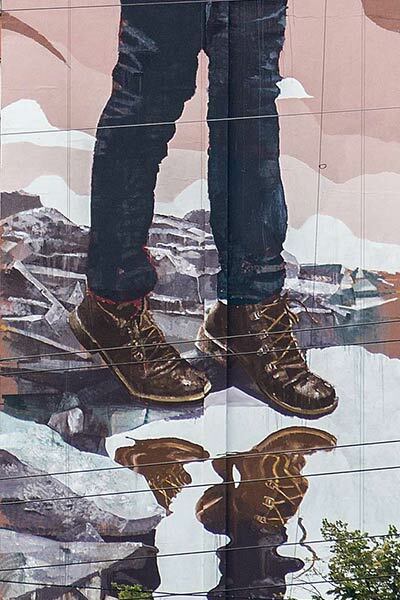 Now in its third year, the campaign shines a light on the treatment of Iran’s largest religious minority, the Baha’is, who are being persecuted because of their faith. 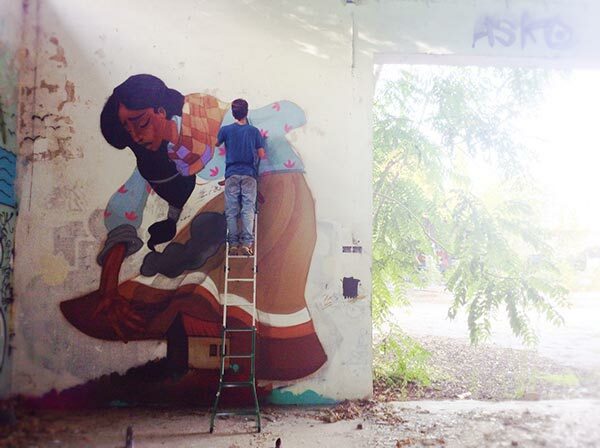 In addition to being harassed and jailed on false charges, they’re denied access to the right of higher education. 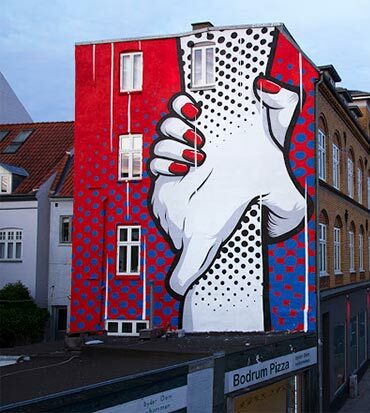 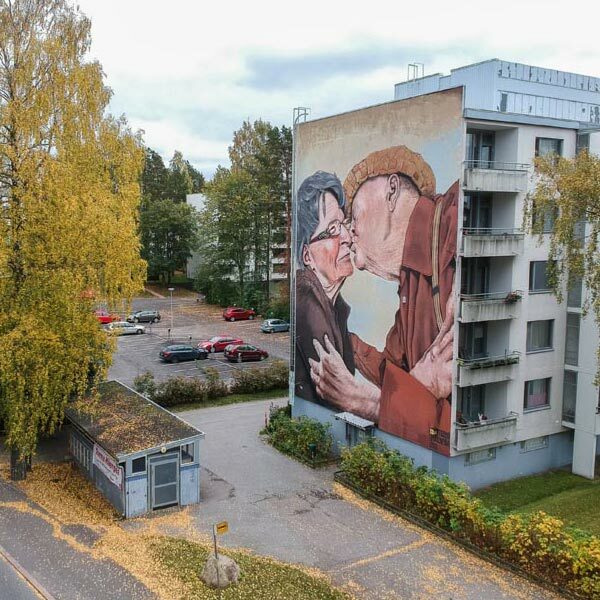 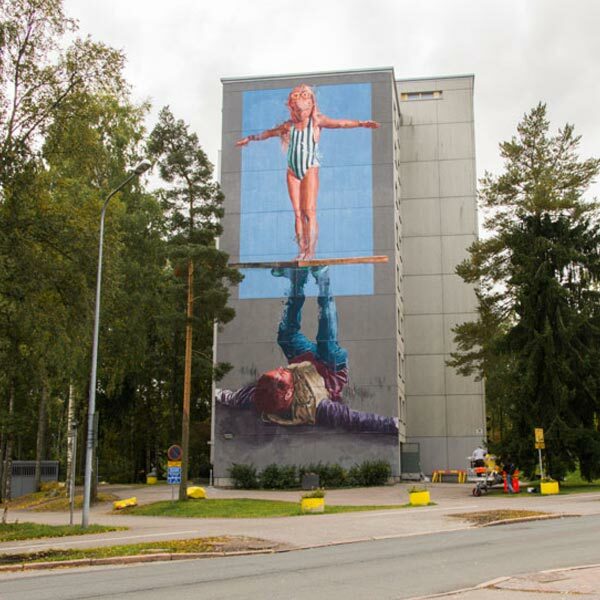 The Not A Crime campaign is the world’s greatest street art for human rights project – with nearly 40 murals already created around the world. 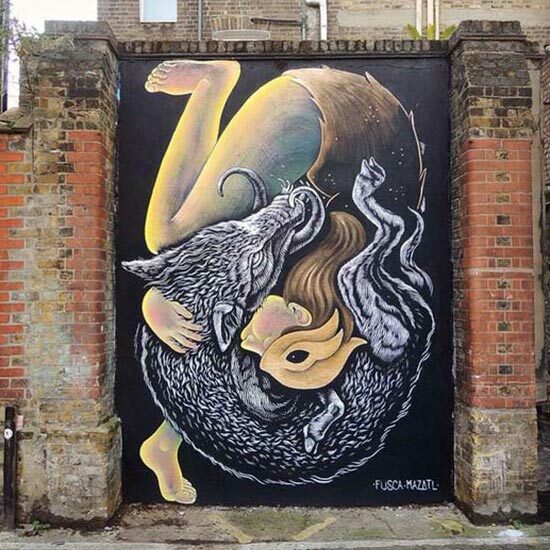 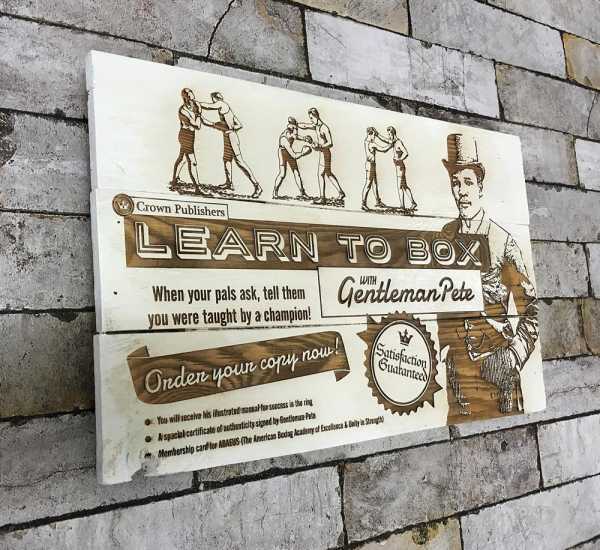 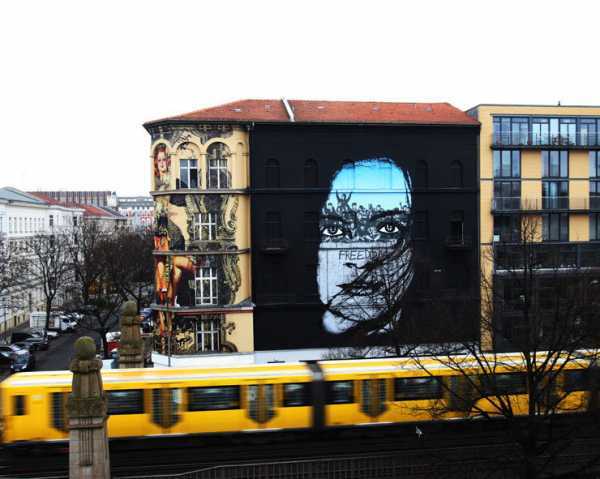 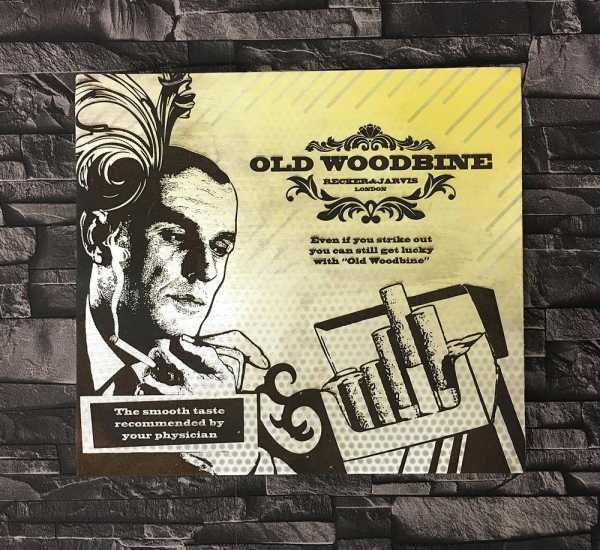 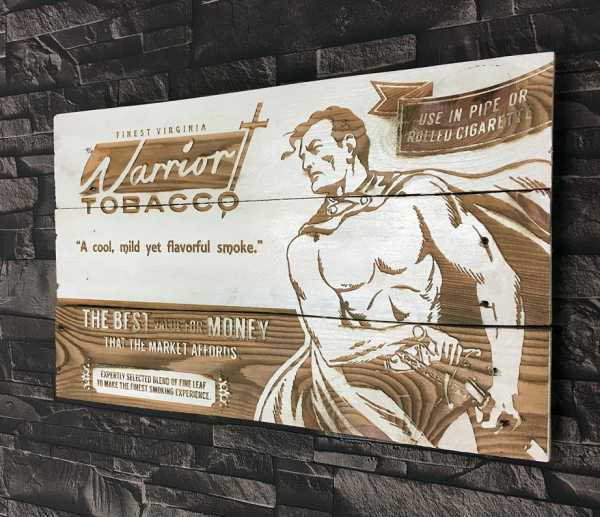 Previous works have been produced in the United Kingdom, with three on the same Village Underground wall, the United States, South Africa, Brazil, India and Australia. 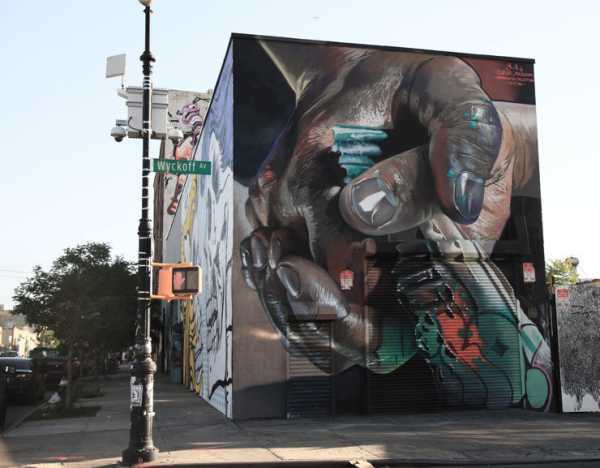 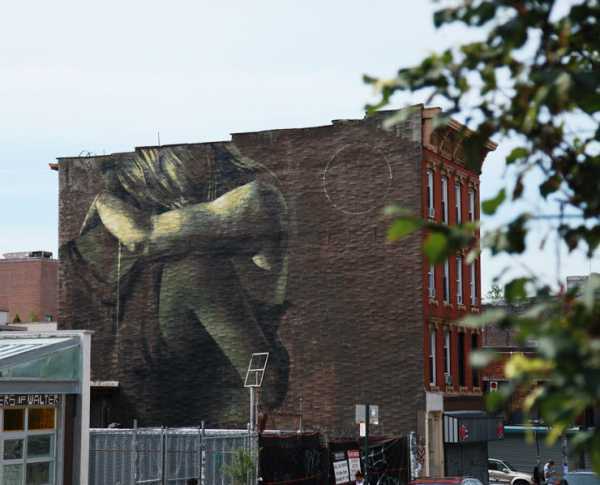 Two-dozen of these murals were painted in New York alone between 2015 and 2016 – with 19 concentrated in Harlem. 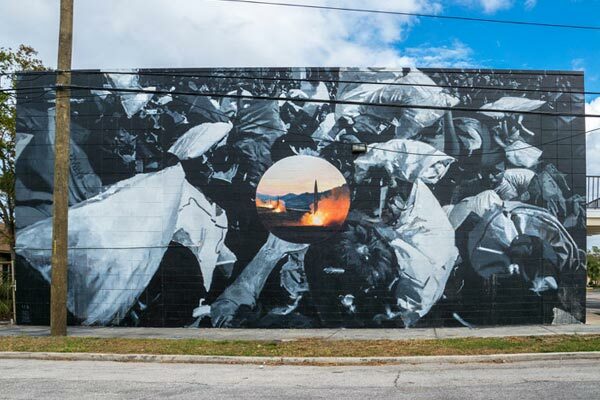 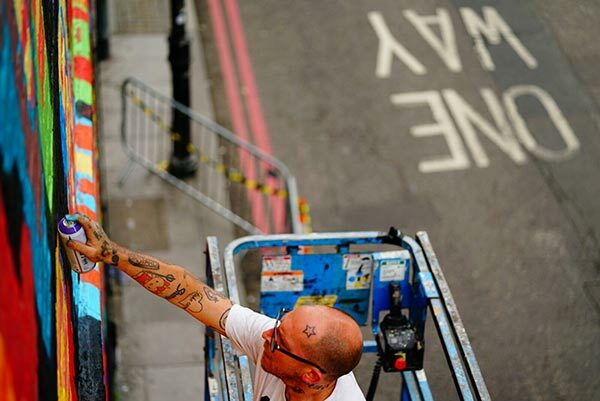 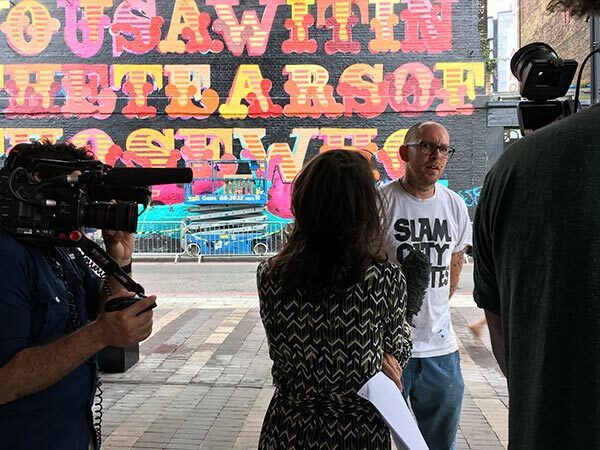 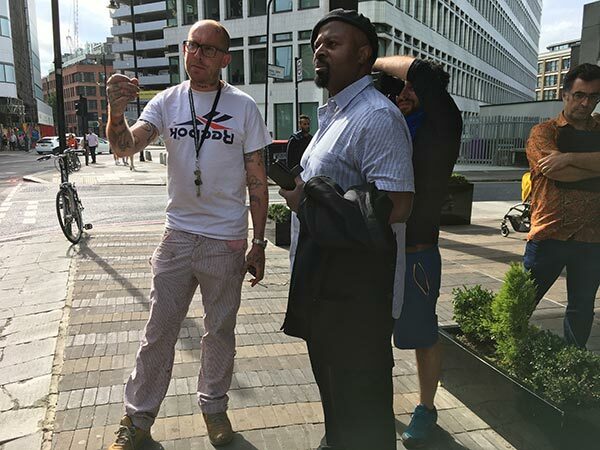 Changing the World, One Wall at a Time will be screened this Spring in London and will showcase the artists and activists behind the Not A Crime project. 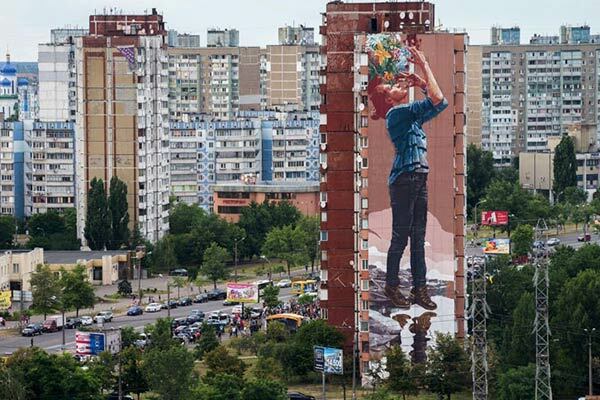 Global media impressions for the project surpassed 100,000,000 people in 2016 with more than a dozen media stories and over 40,000 social media followers.